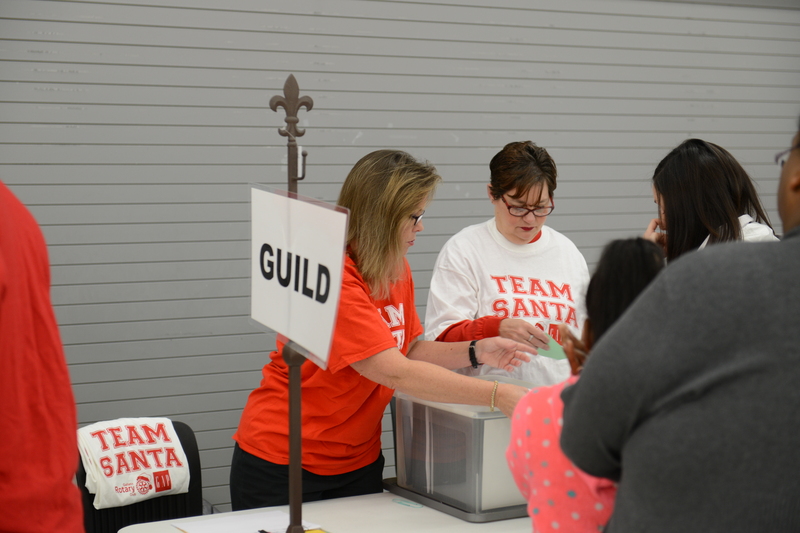 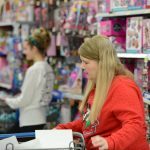 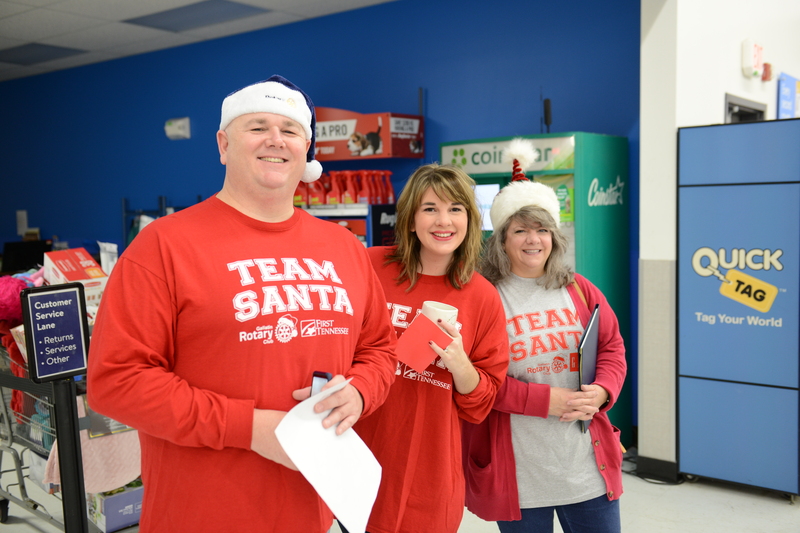 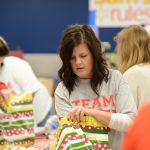 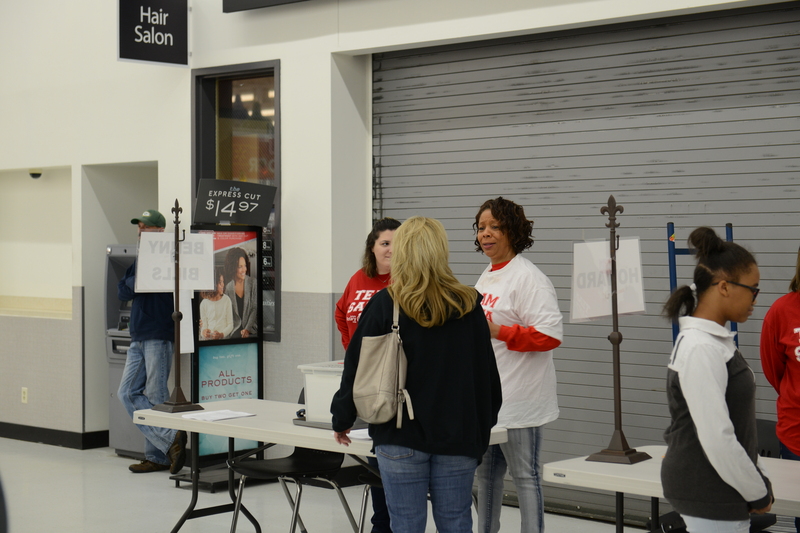 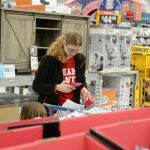 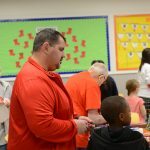 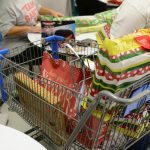 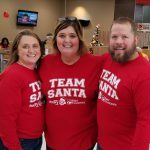 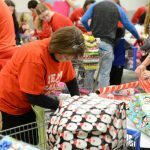 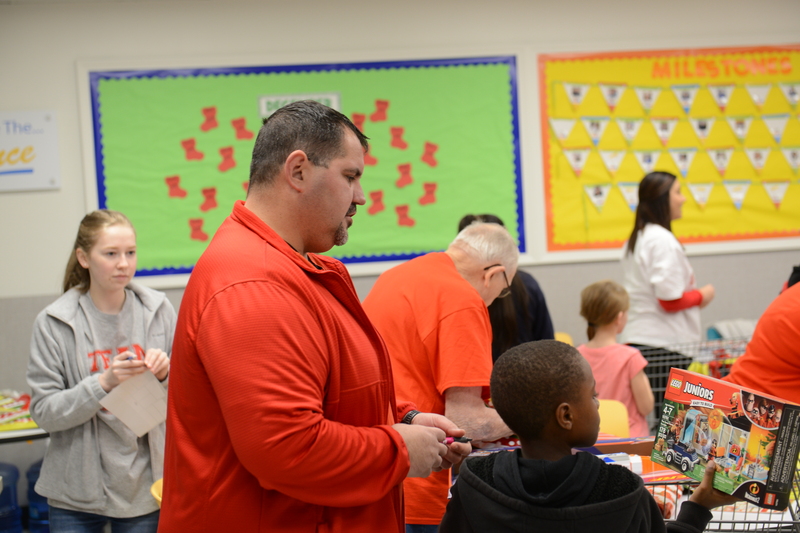 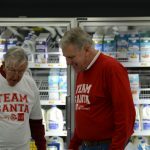 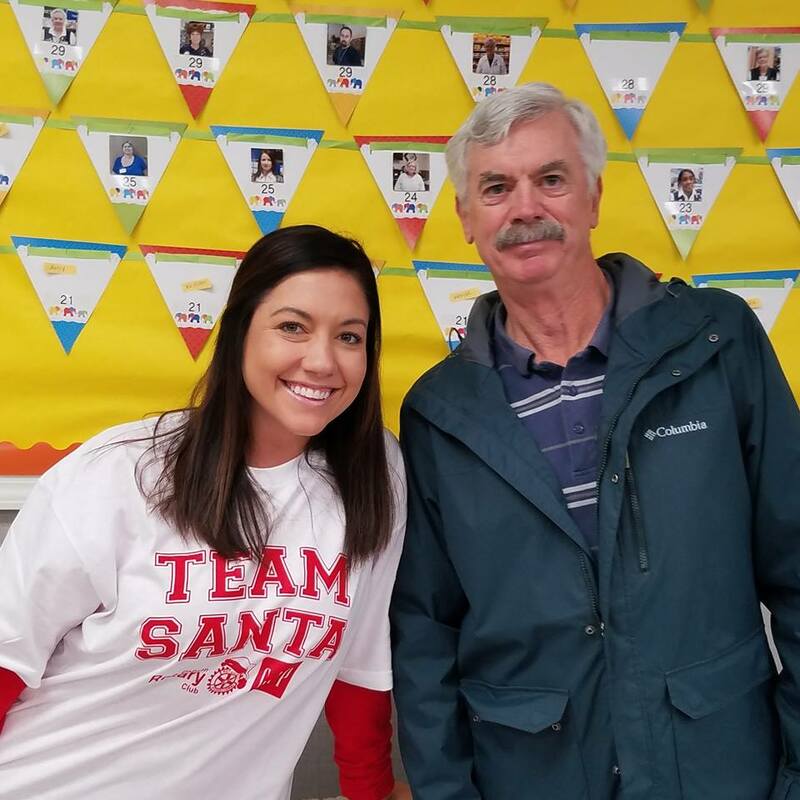 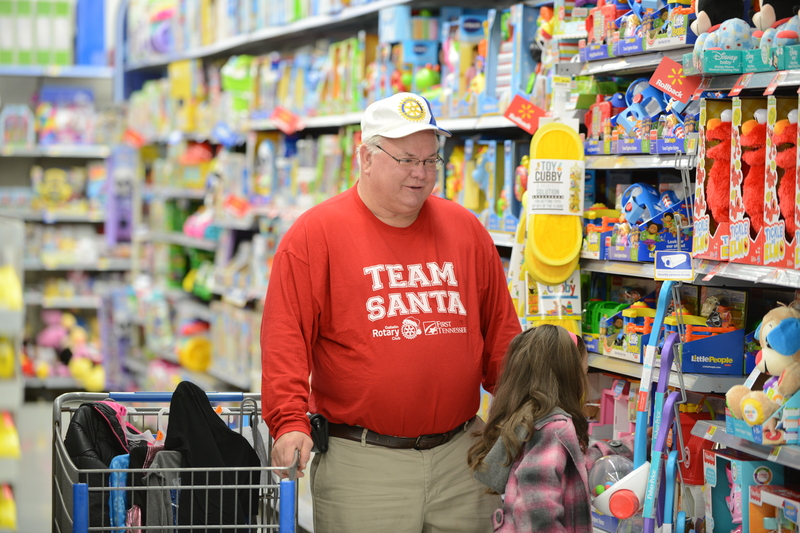 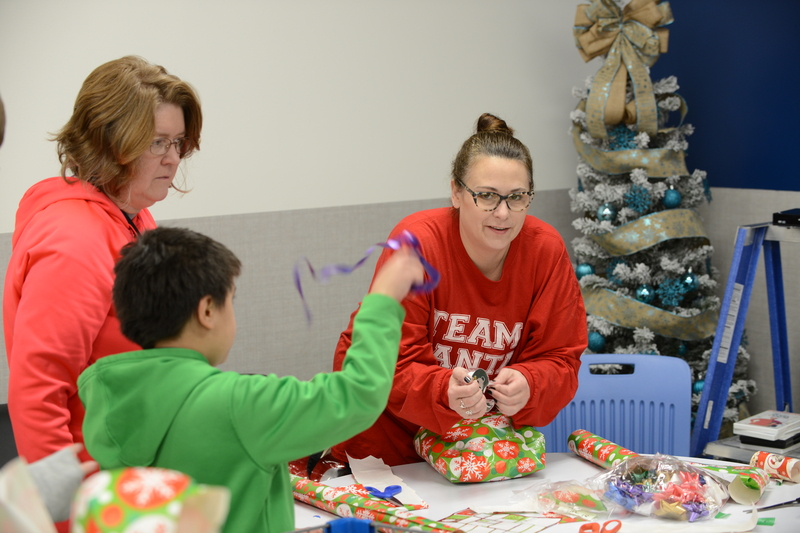 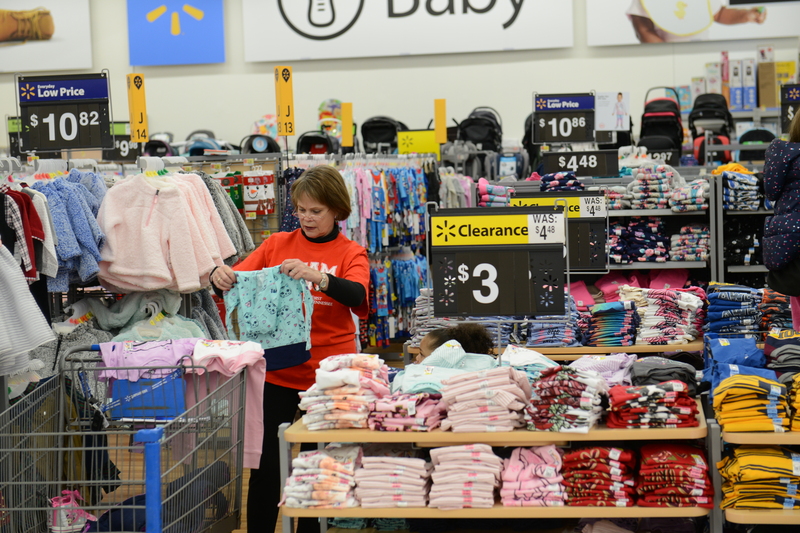 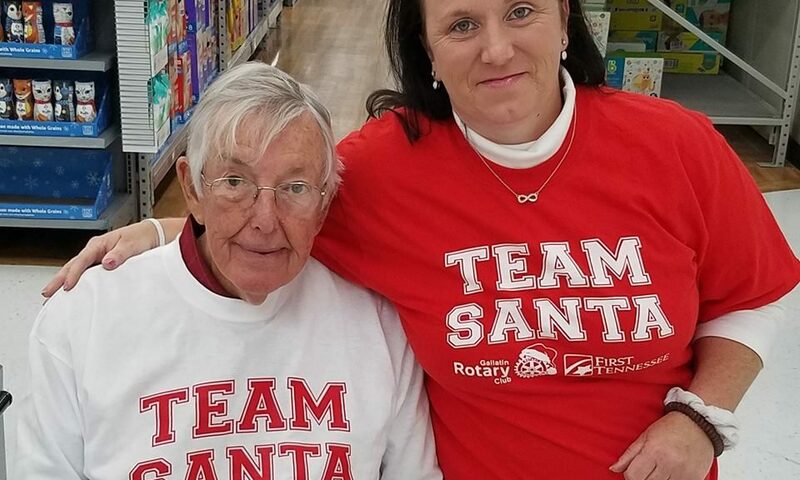 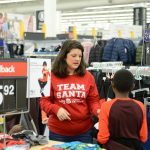 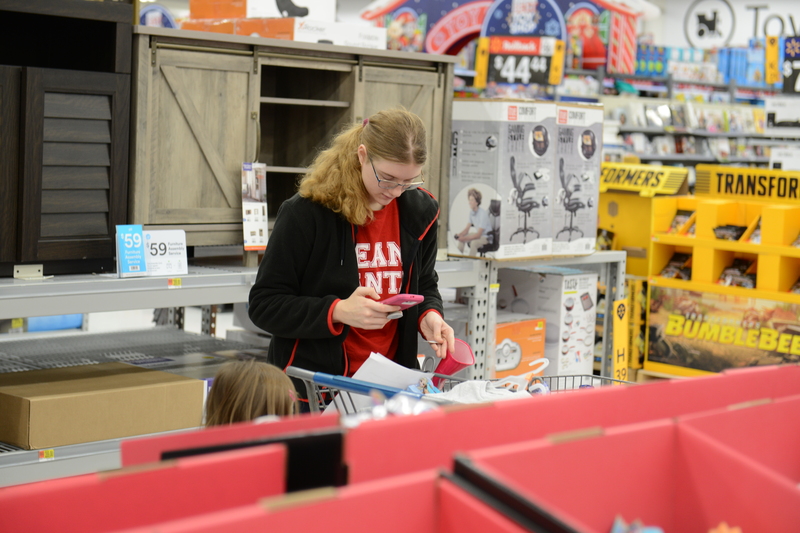 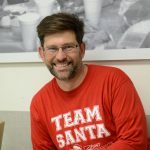 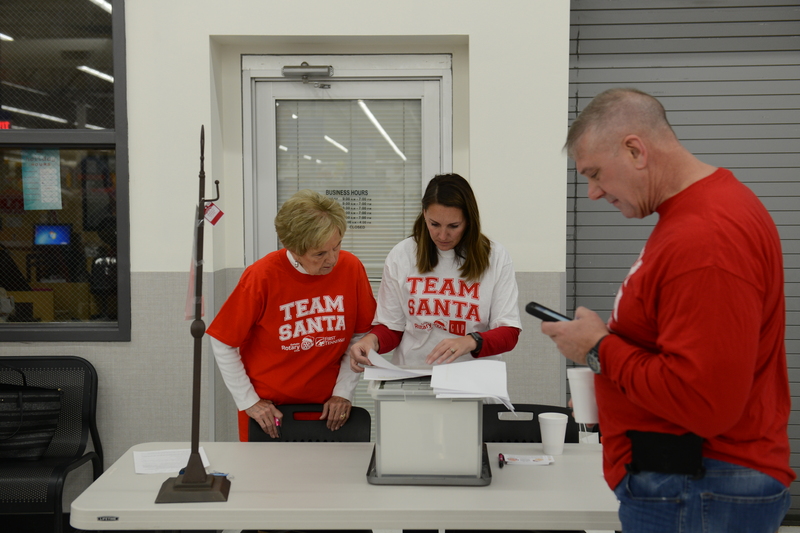 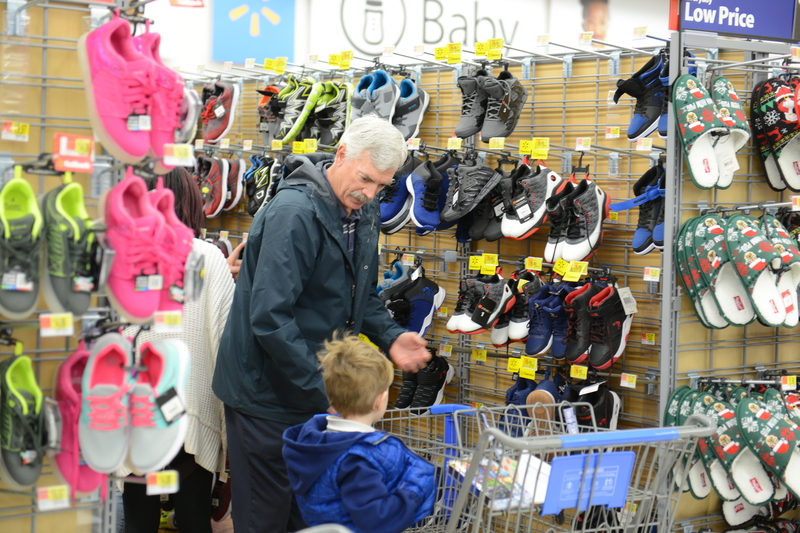 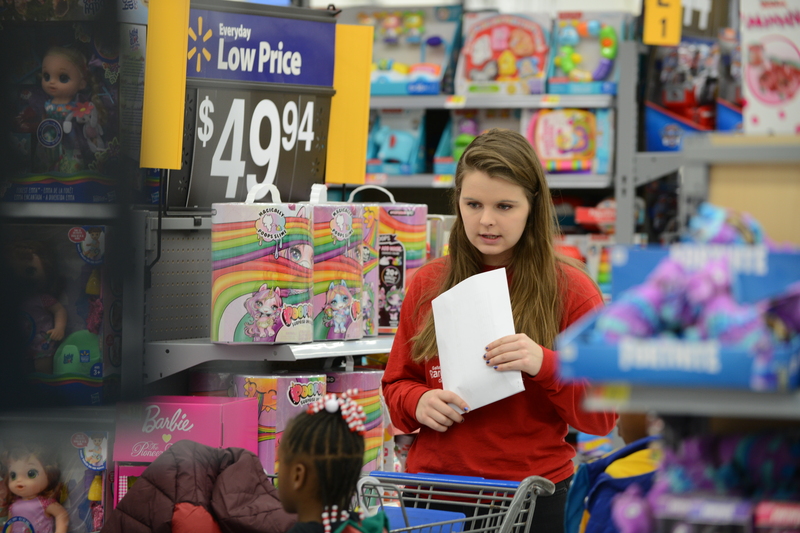 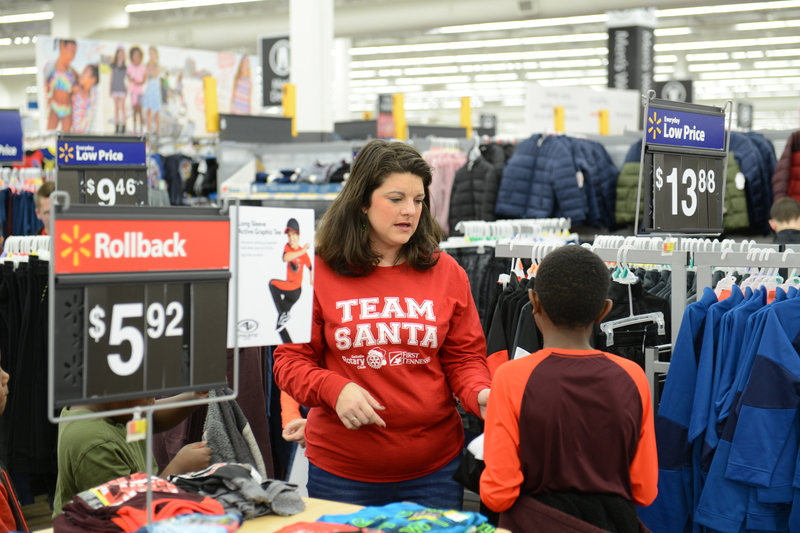 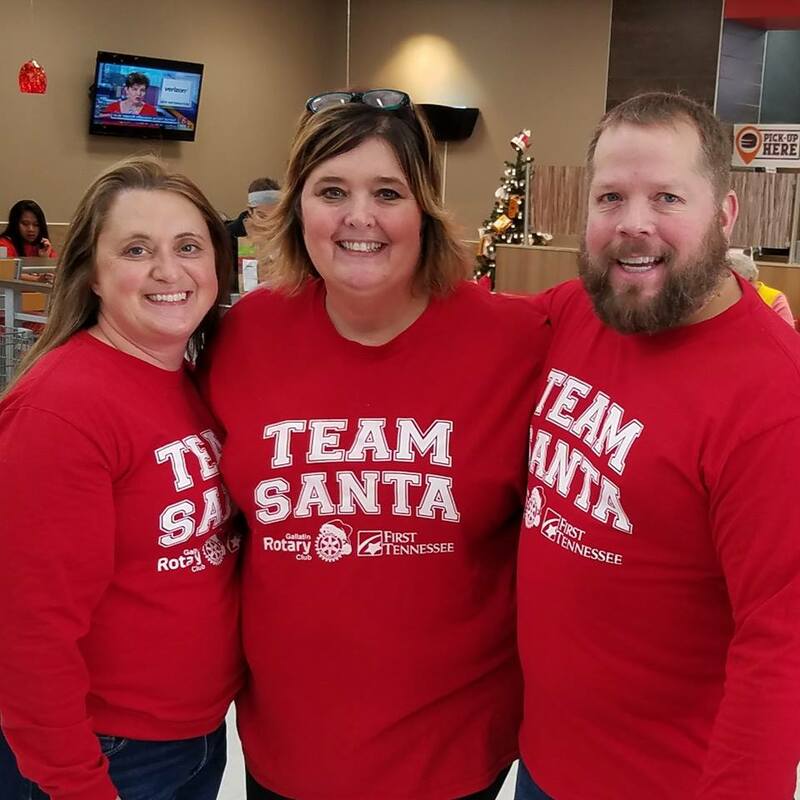 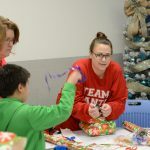 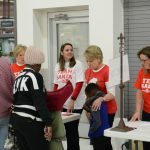 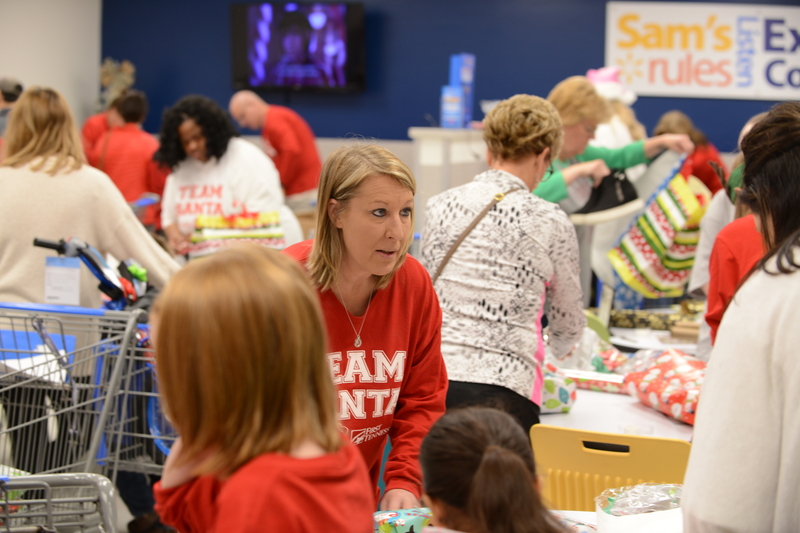 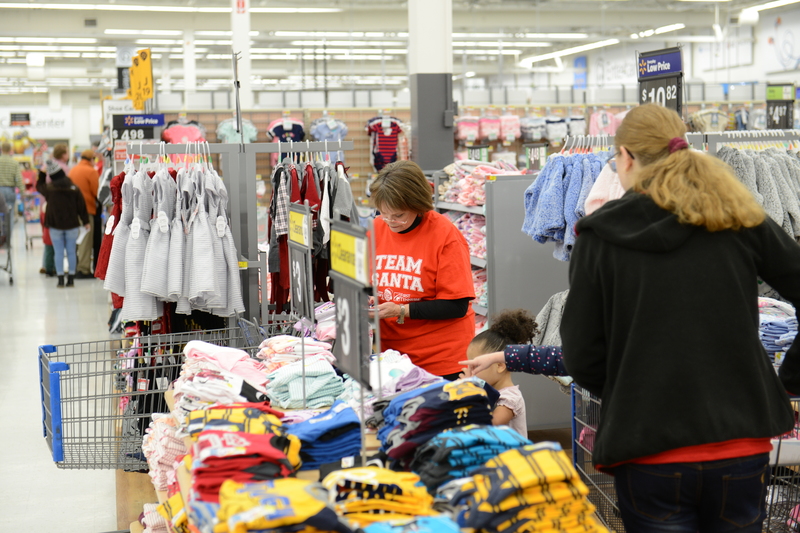 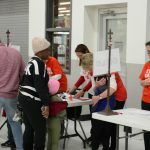 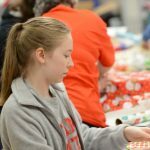 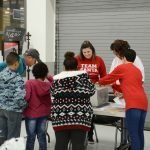 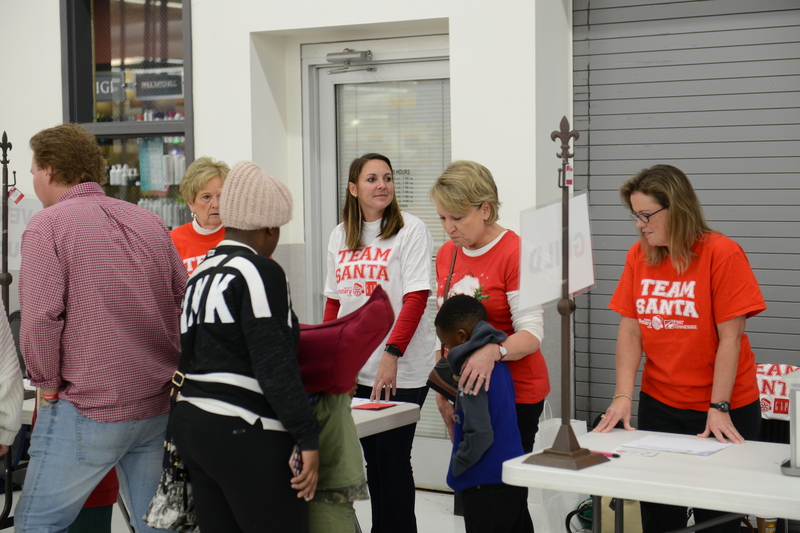 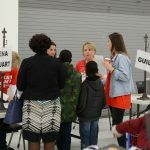 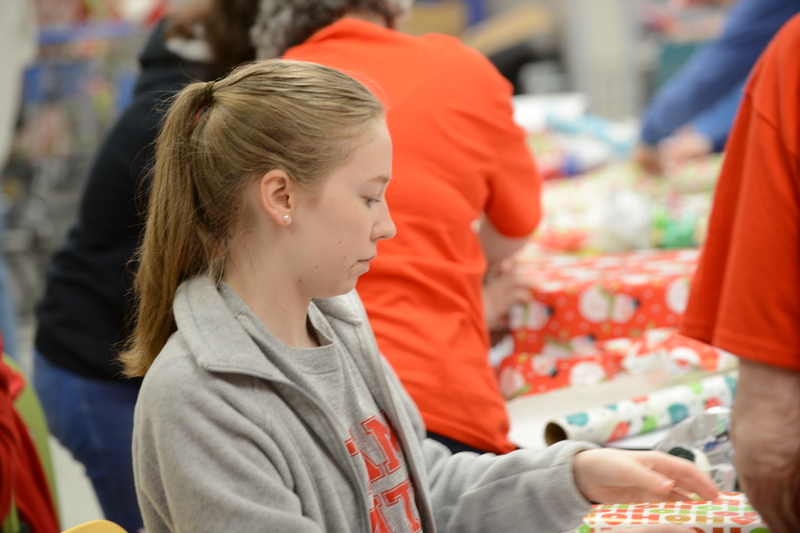 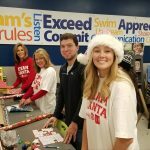 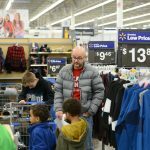 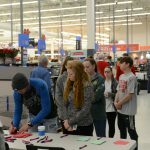 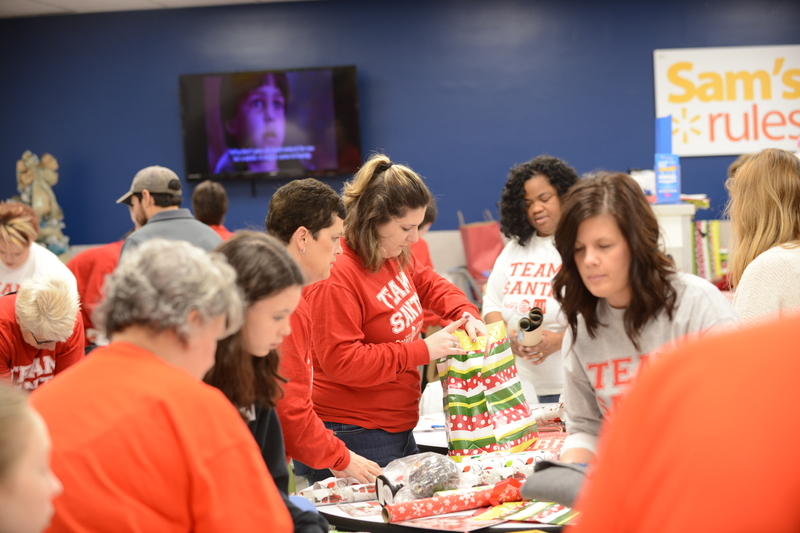 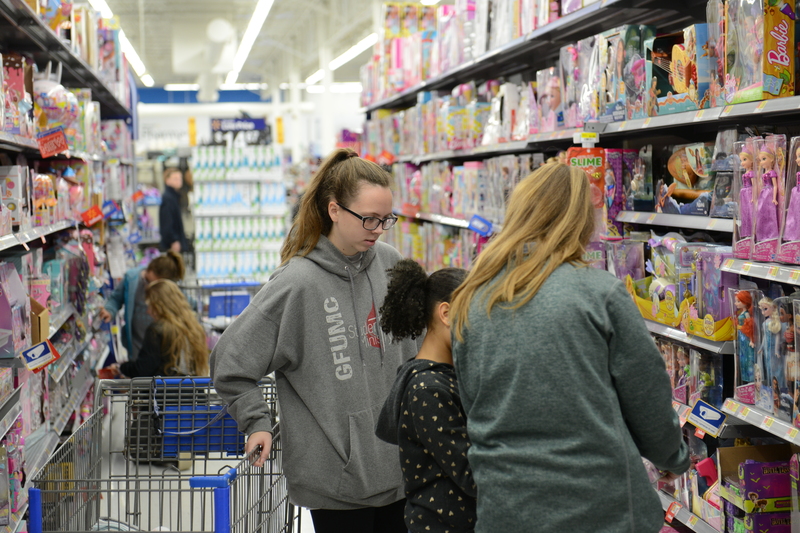 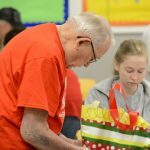 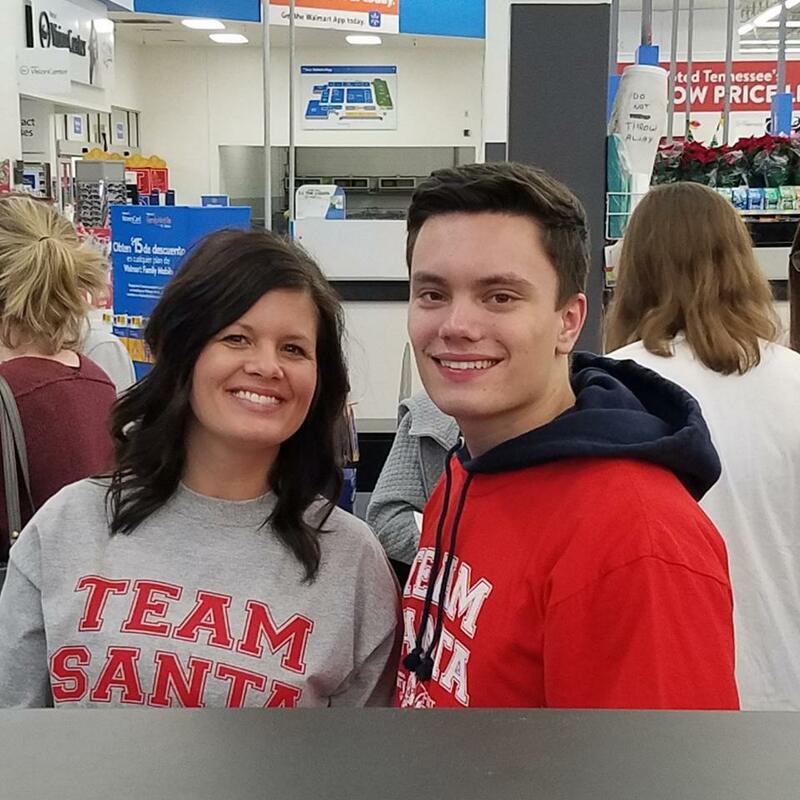 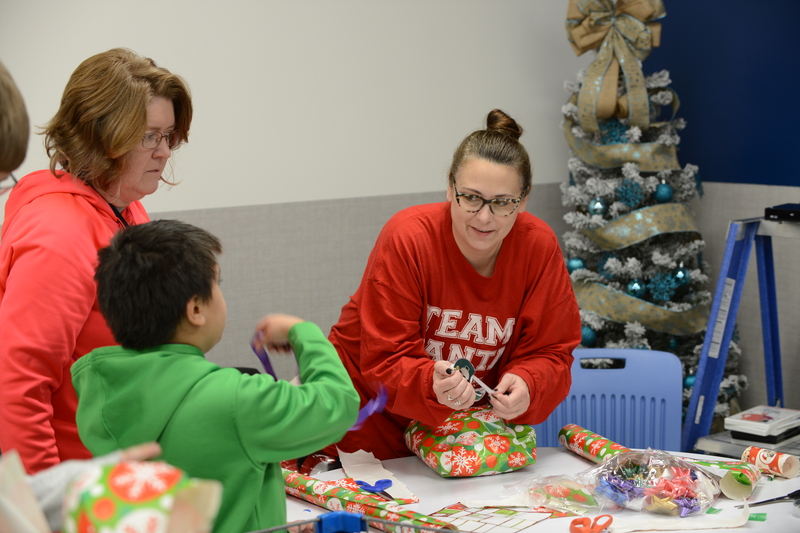 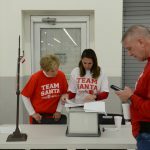 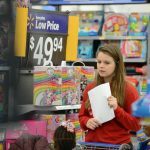 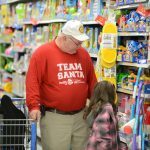 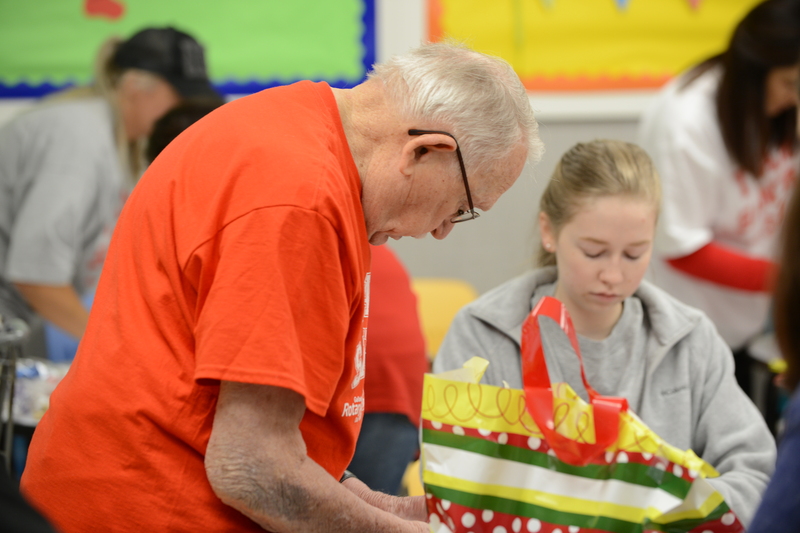 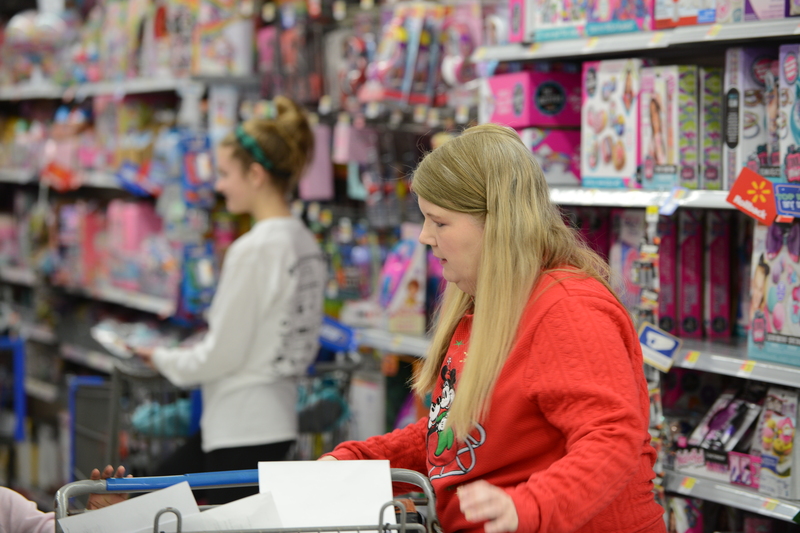 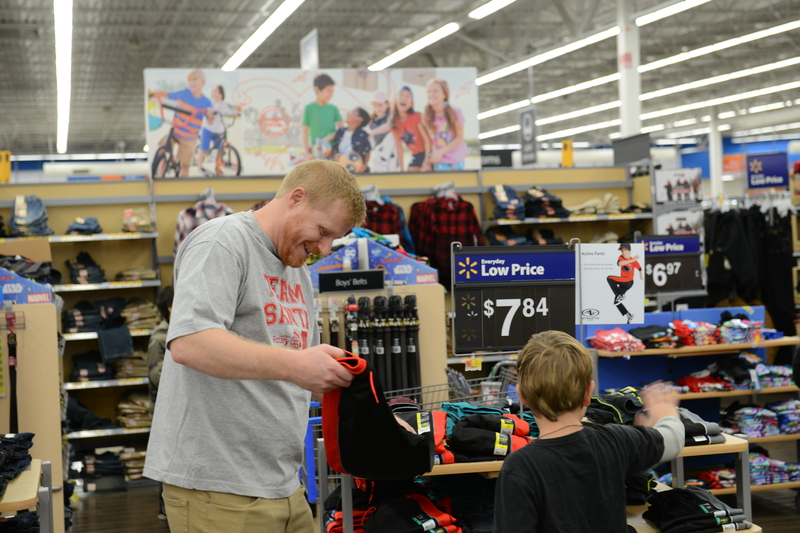 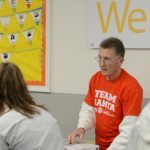 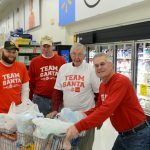 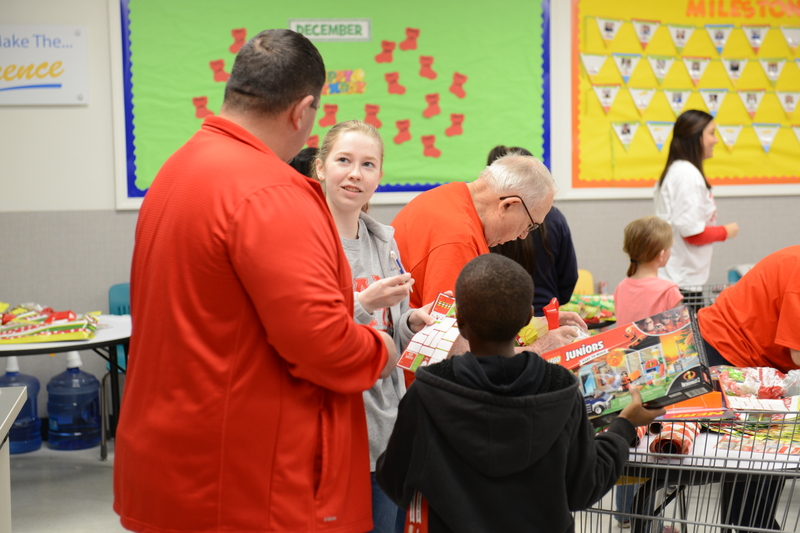 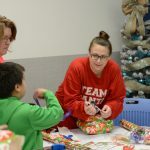 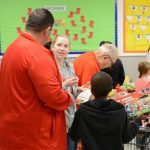 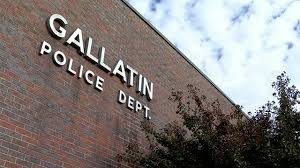 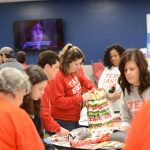 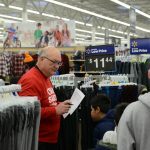 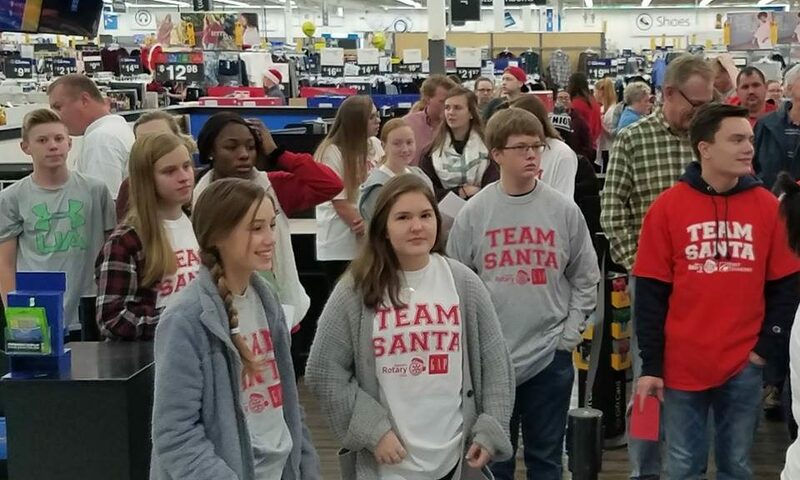 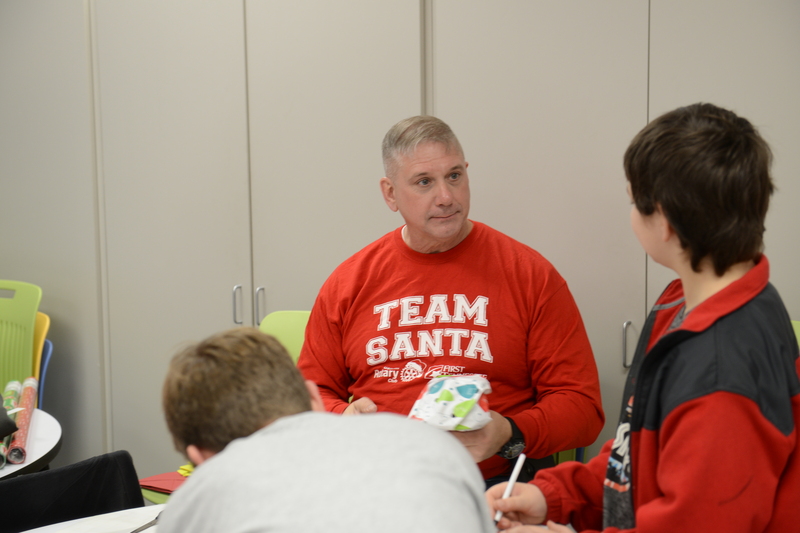 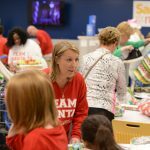 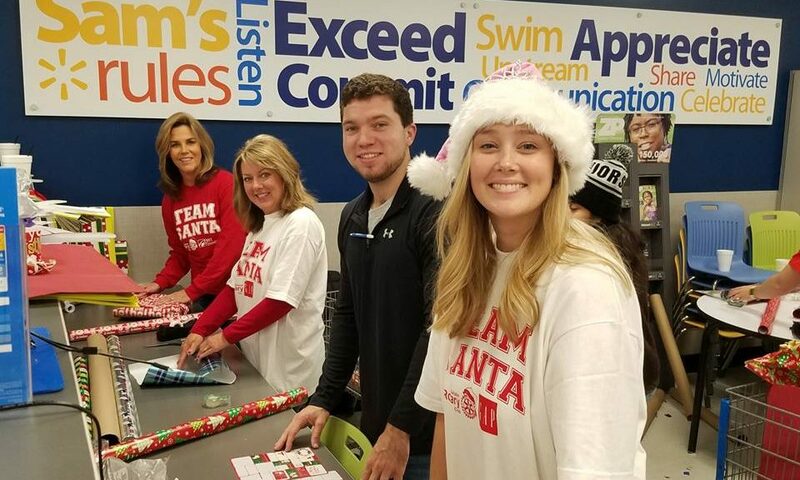 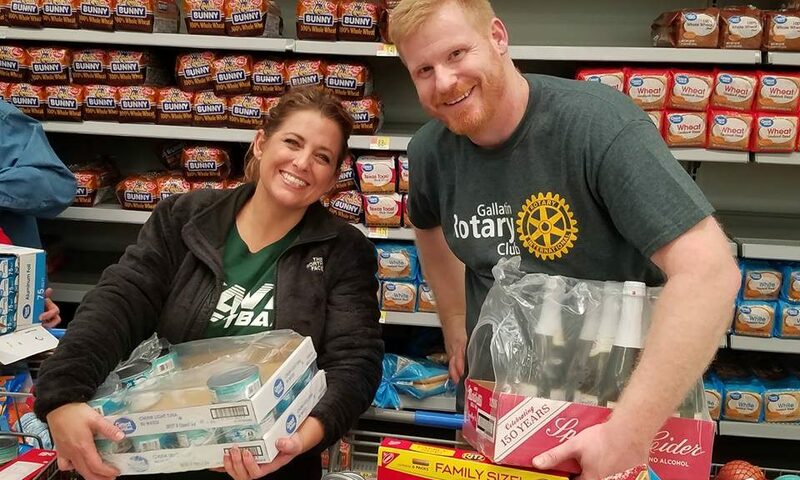 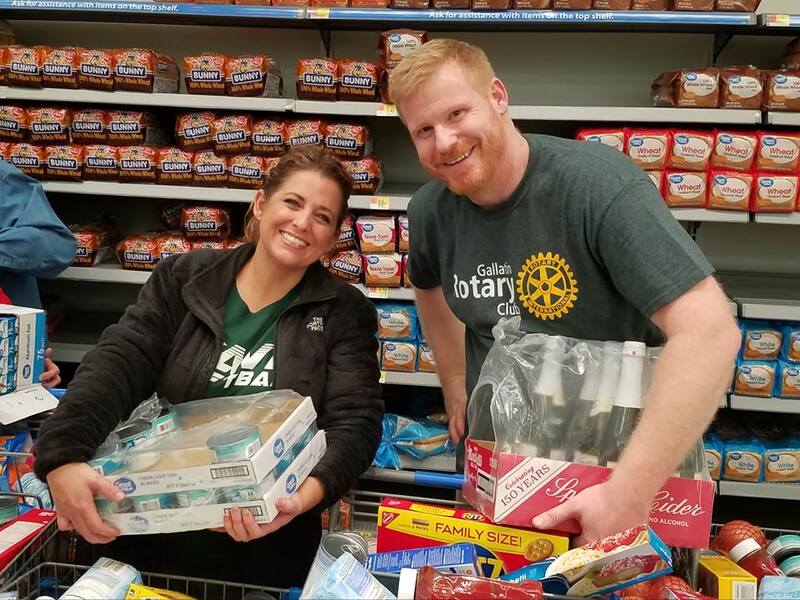 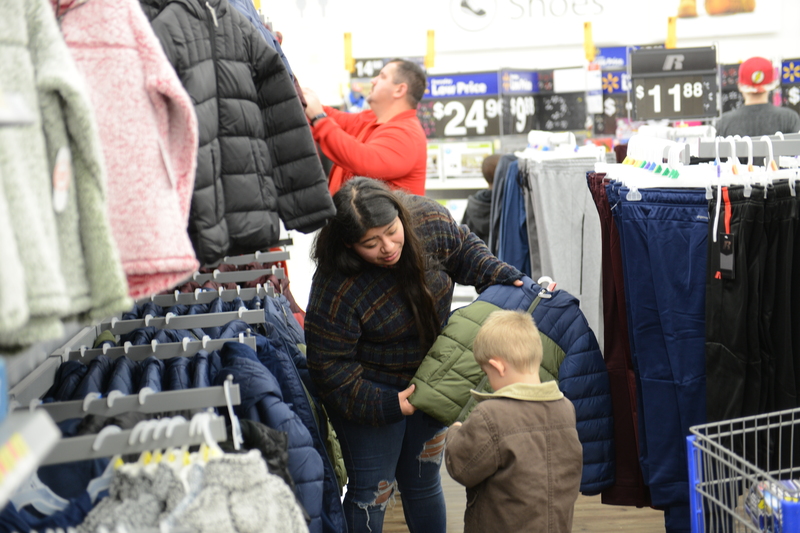 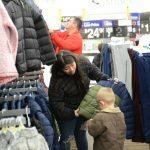 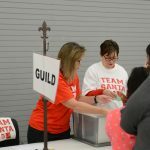 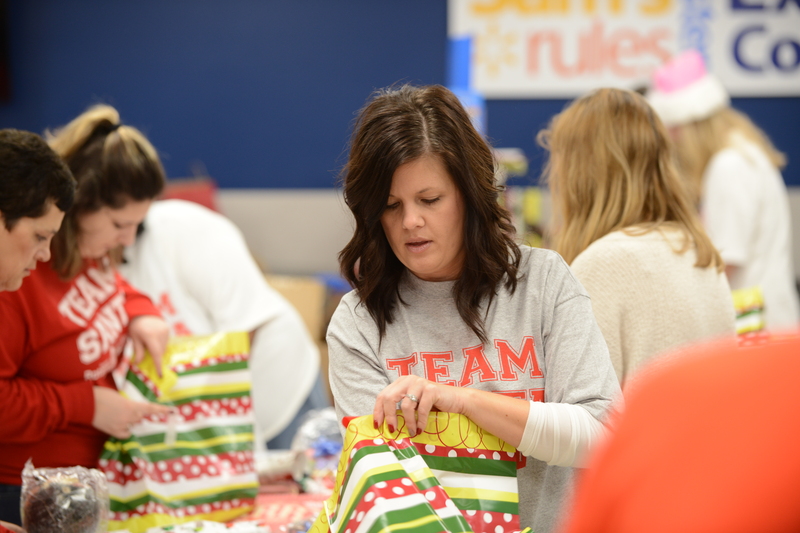 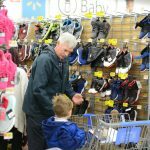 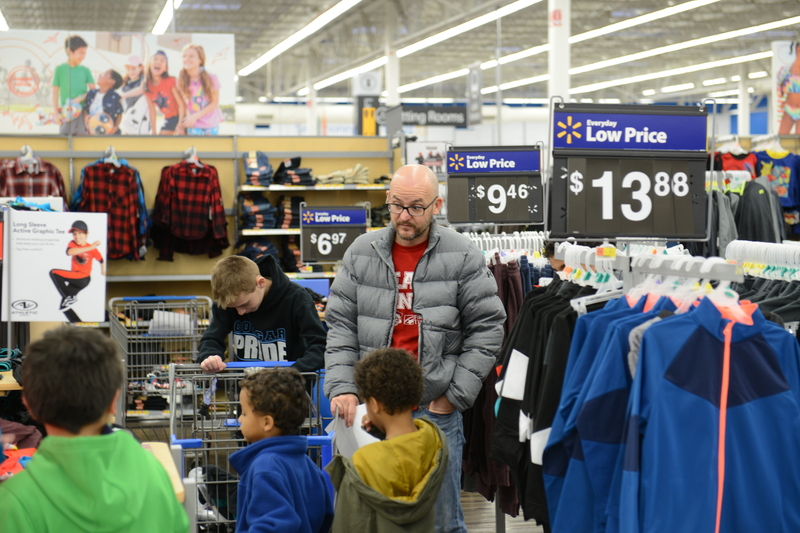 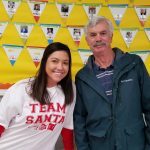 The Gallatin Rotary Club’s 15th annual “Christmas for Kids” event in December provided 136 children from 60 families the Christmas everyone deserves. 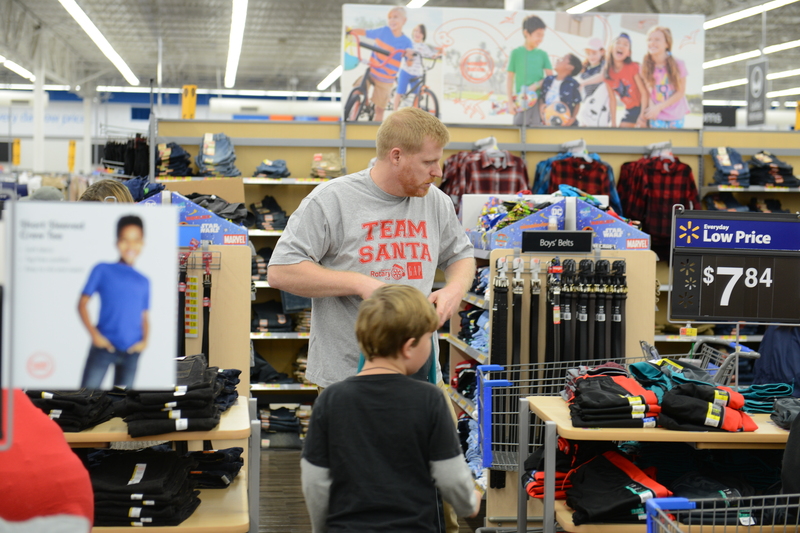 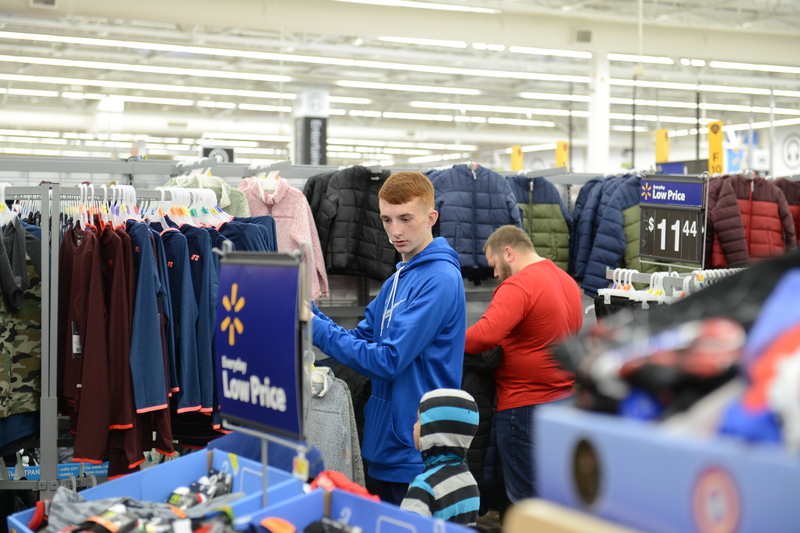 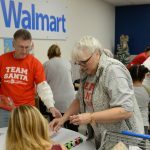 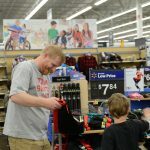 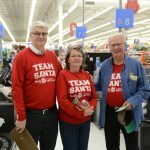 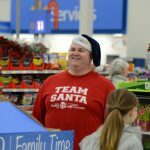 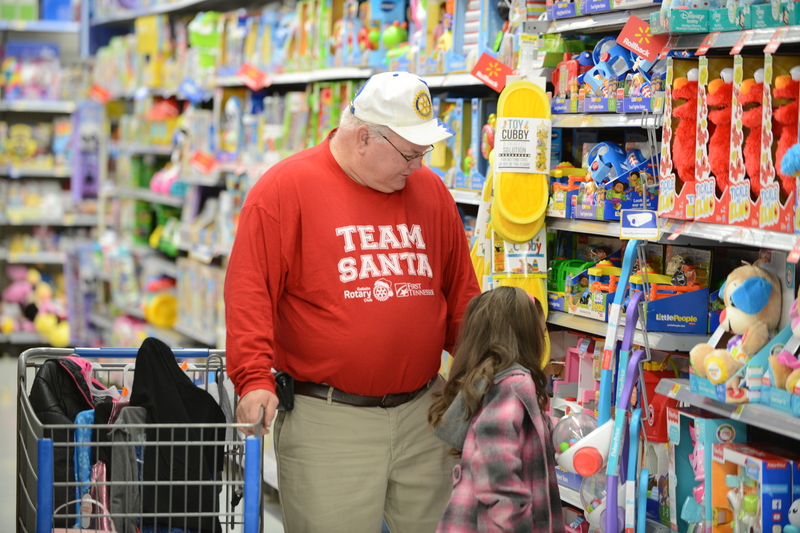 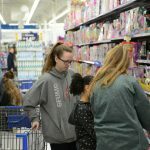 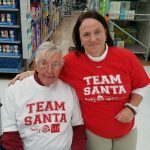 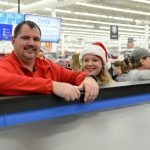 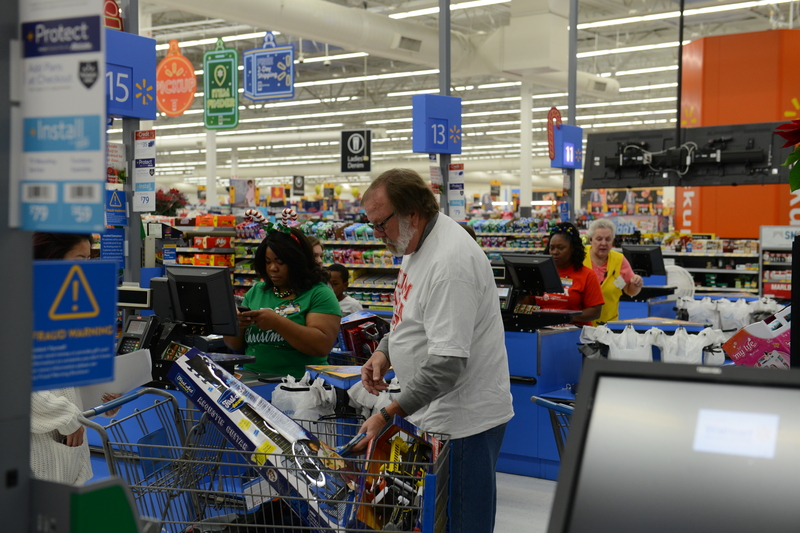 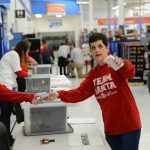 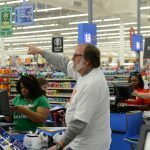 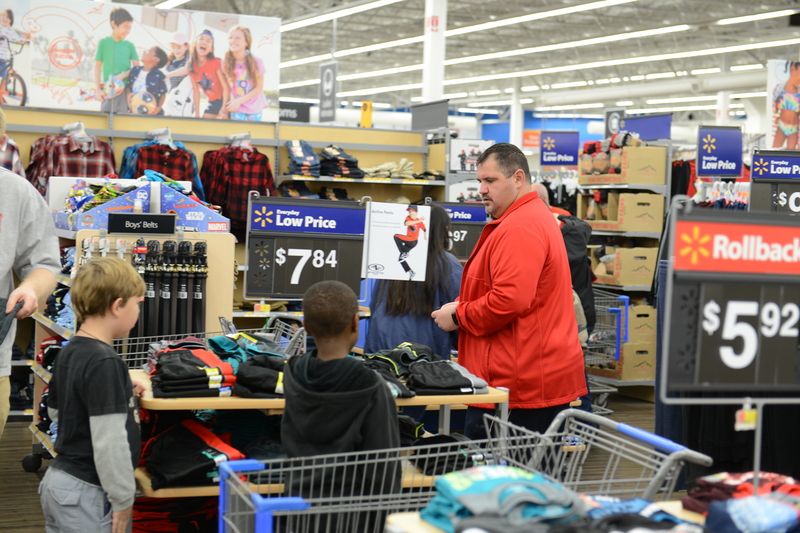 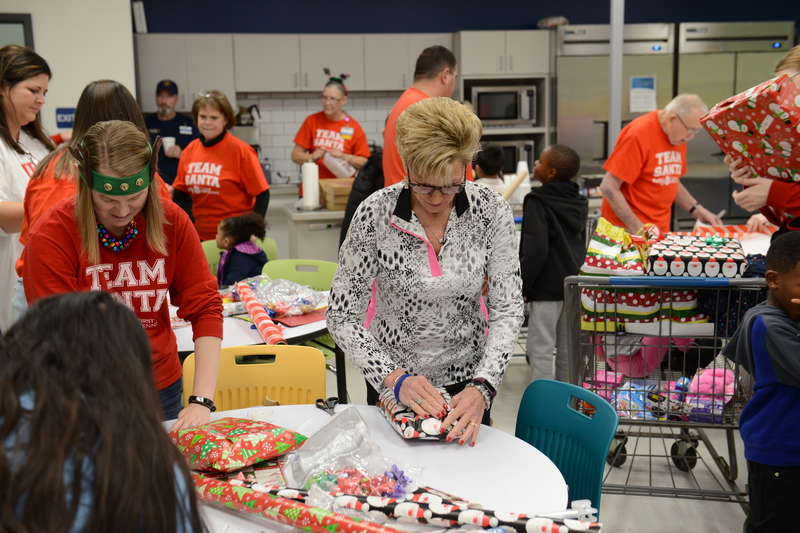 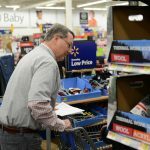 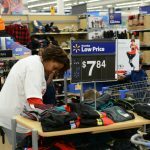 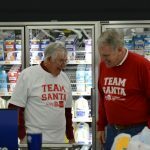 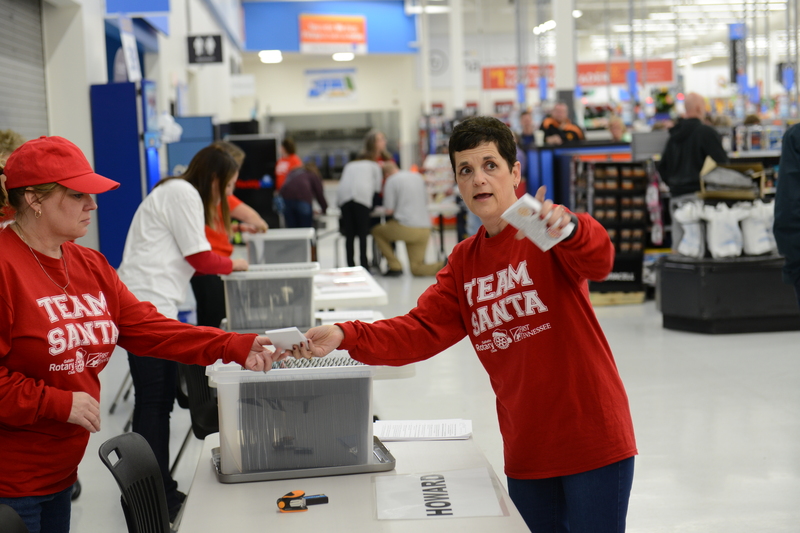 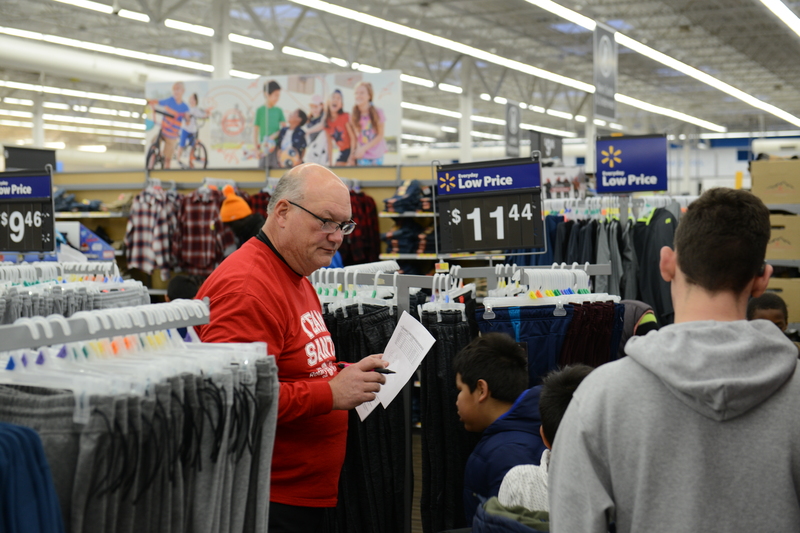 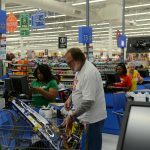 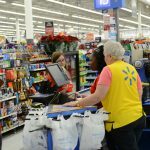 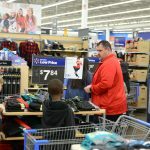 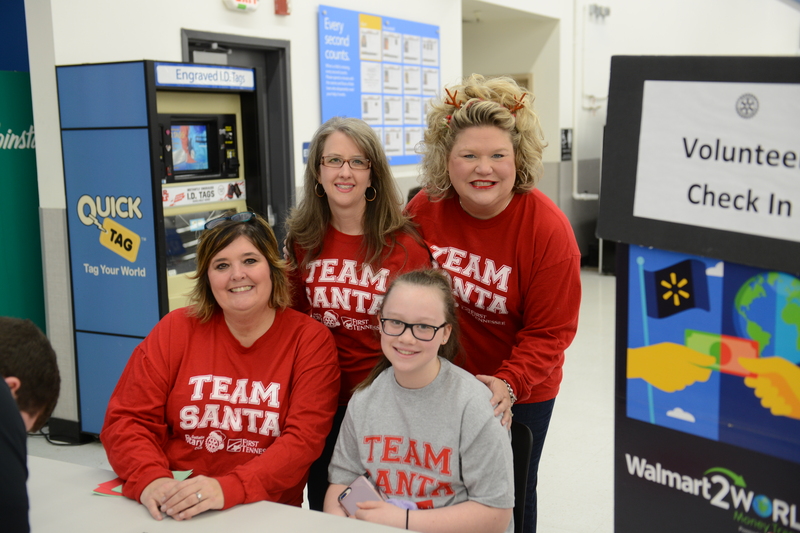 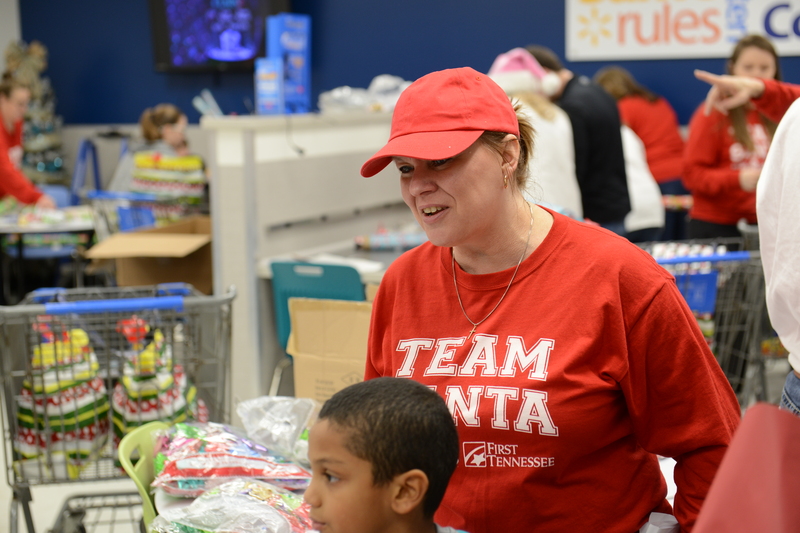 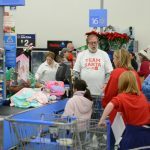 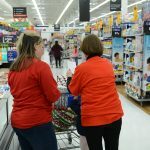 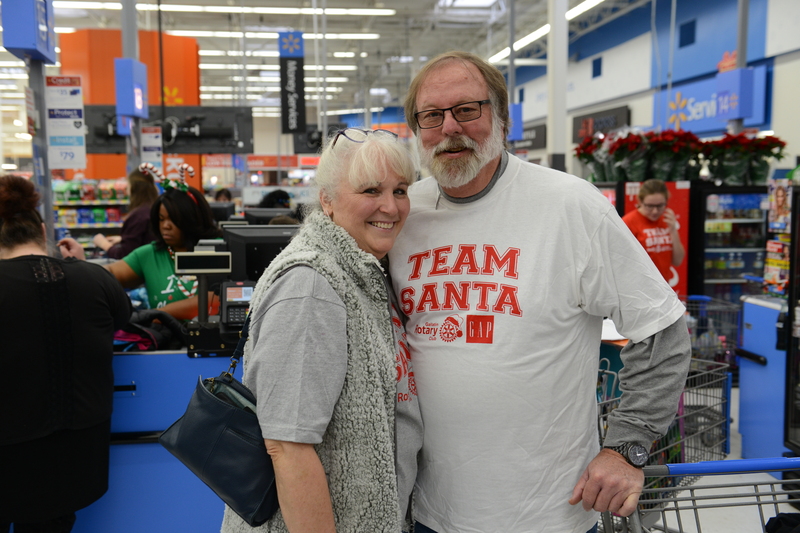 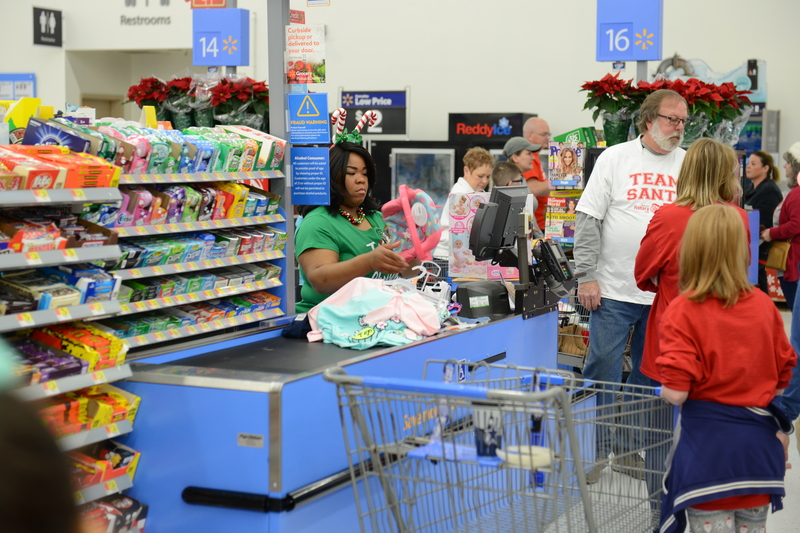 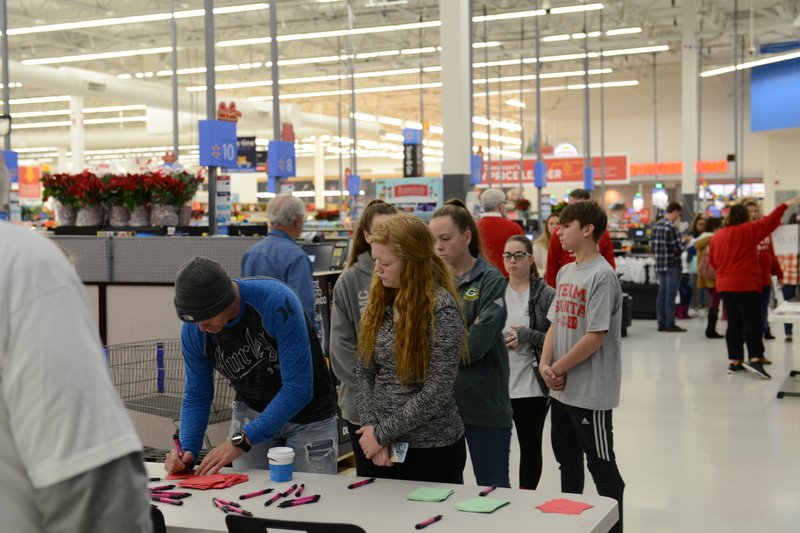 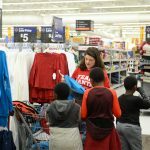 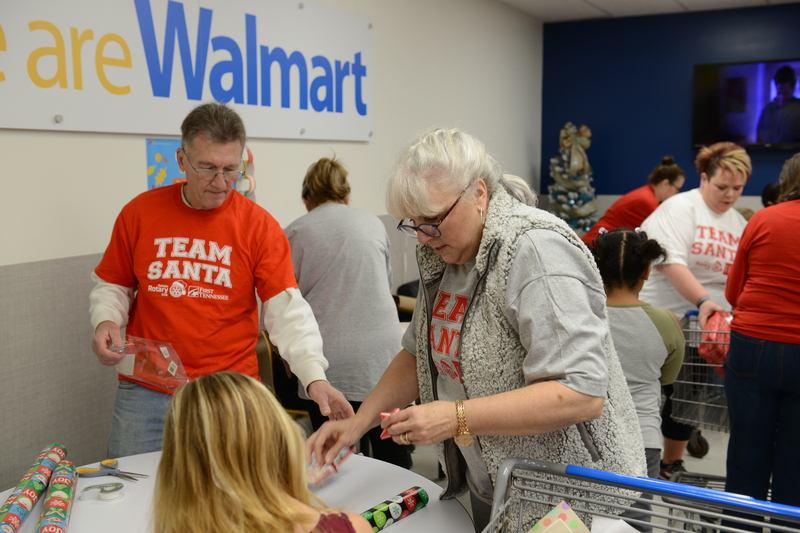 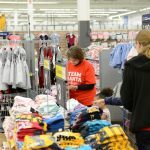 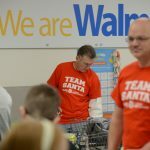 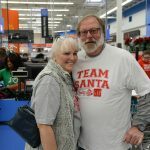 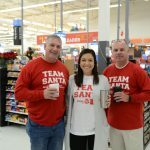 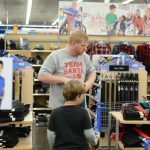 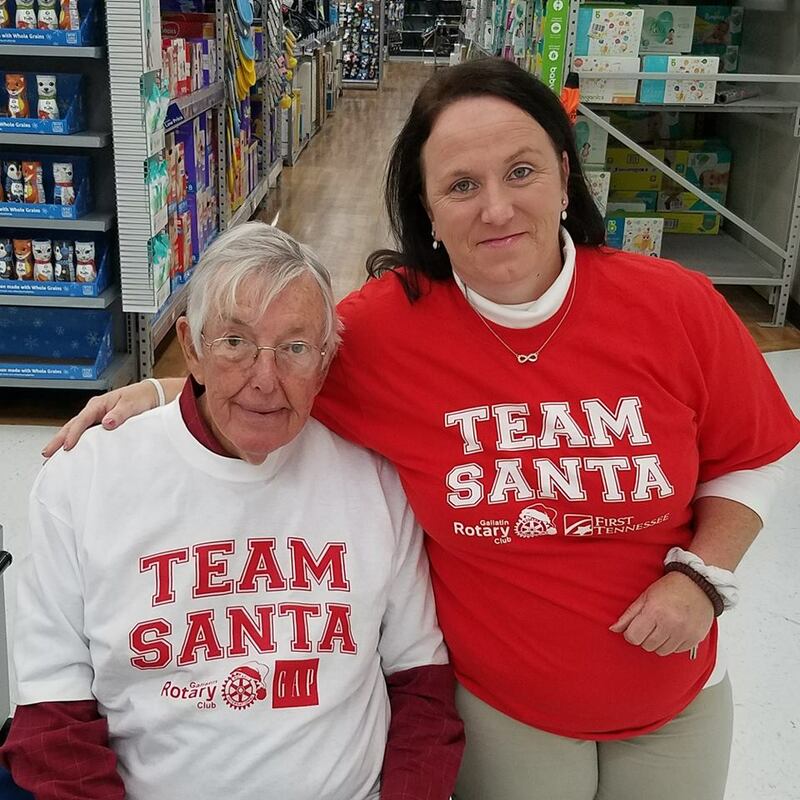 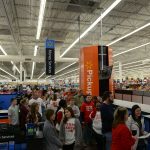 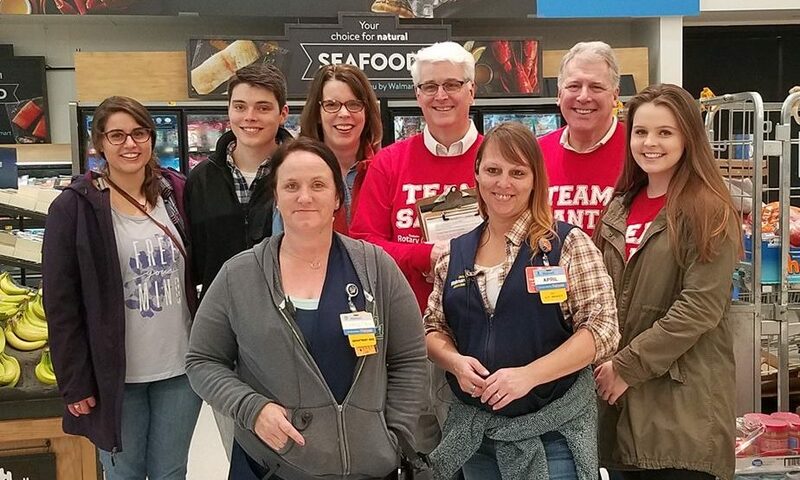 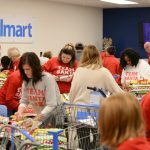 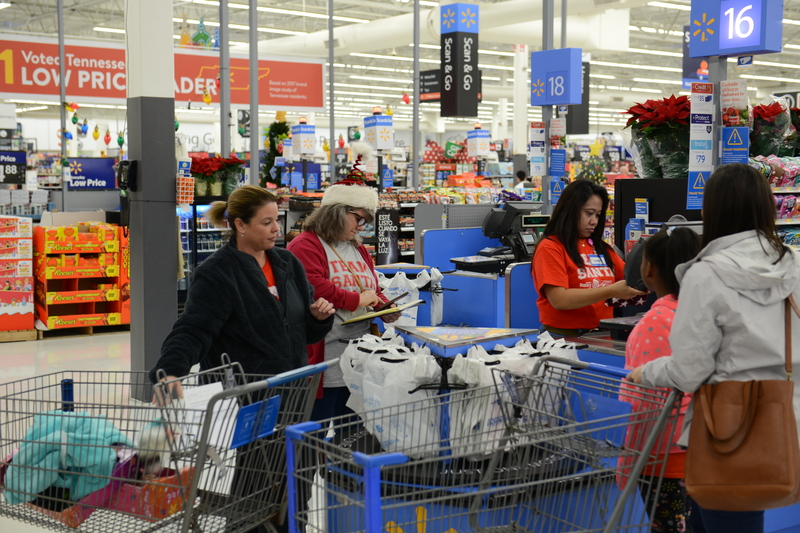 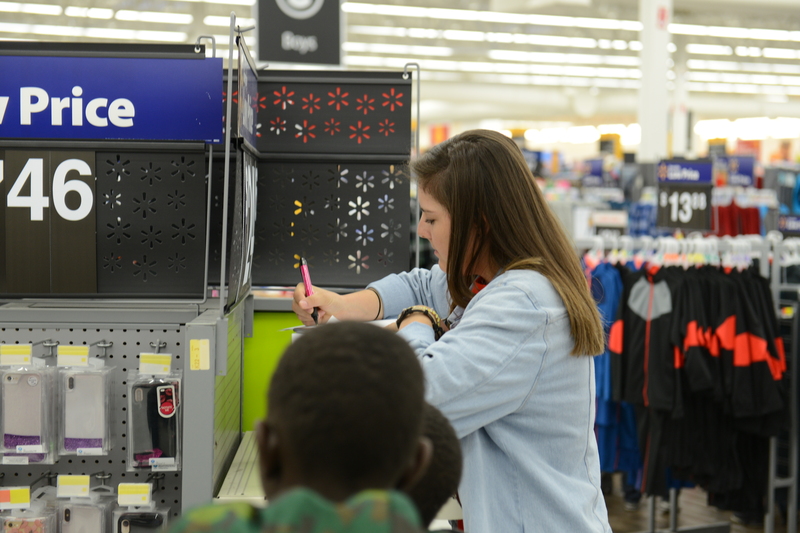 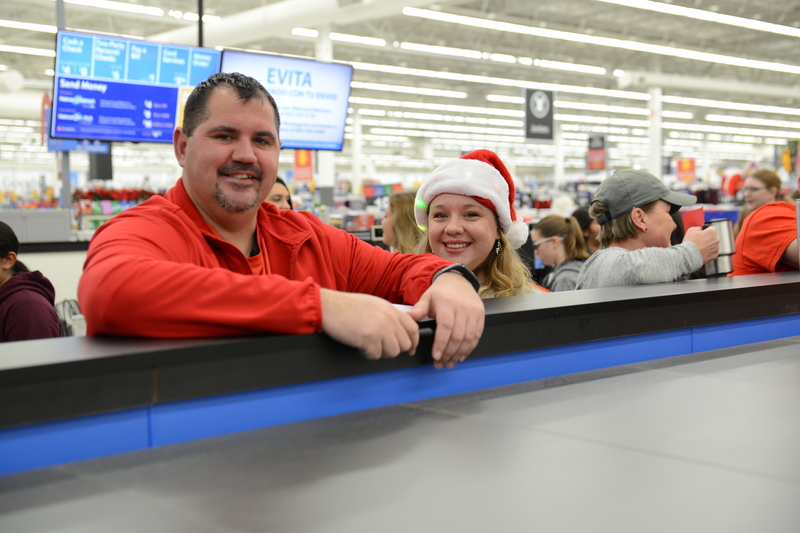 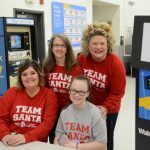 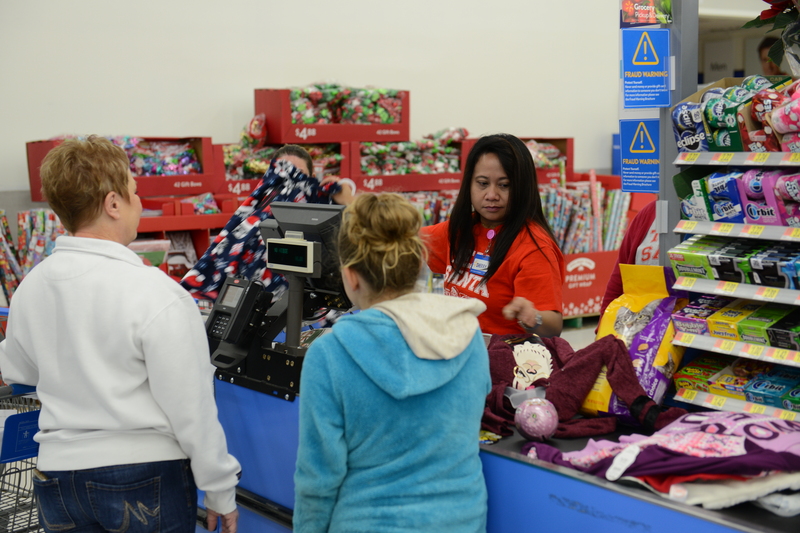 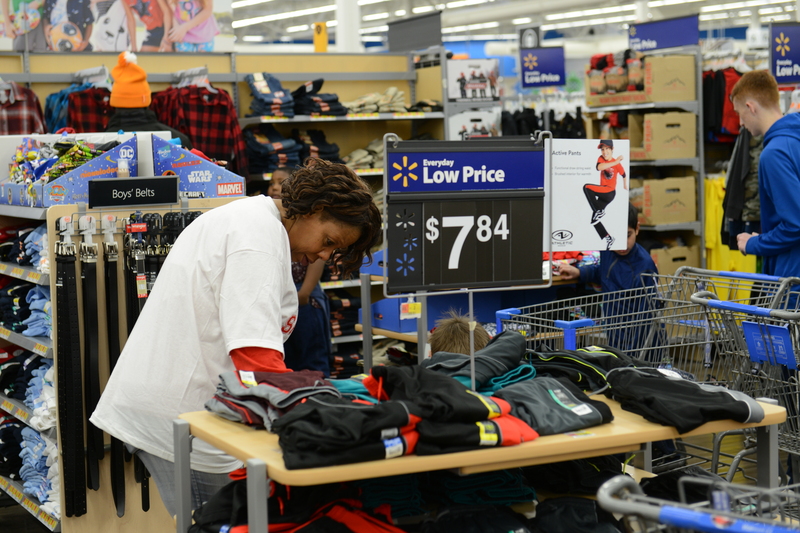 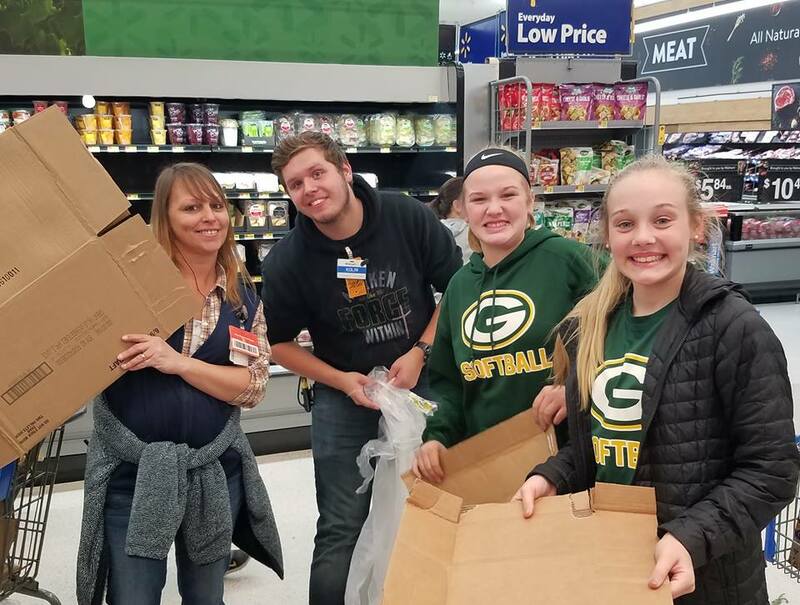 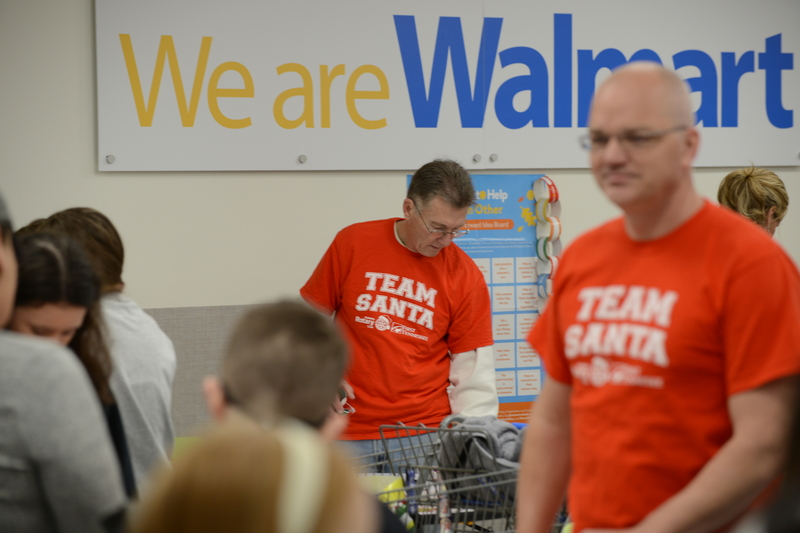 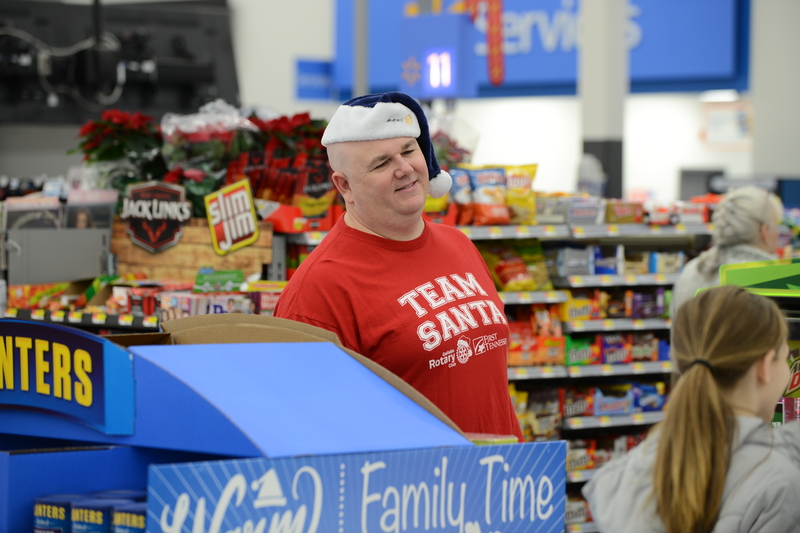 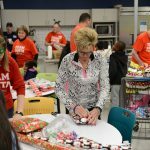 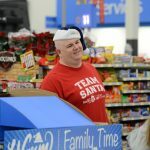 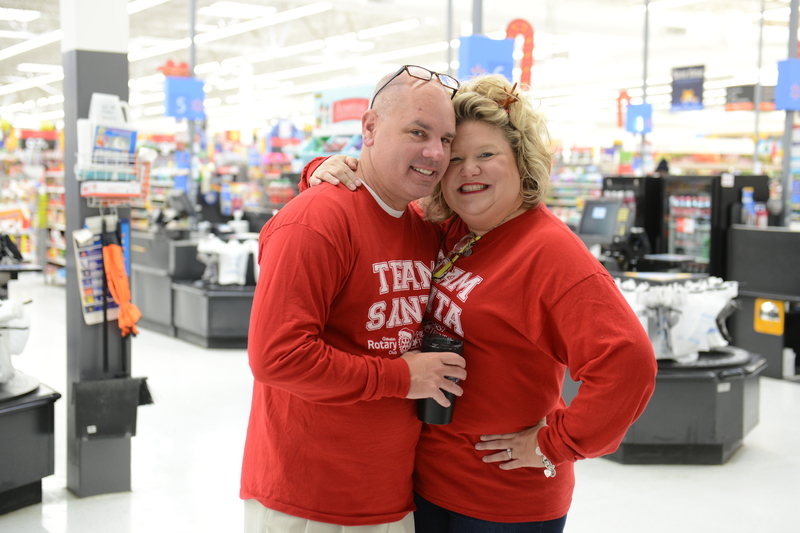 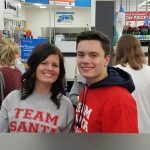 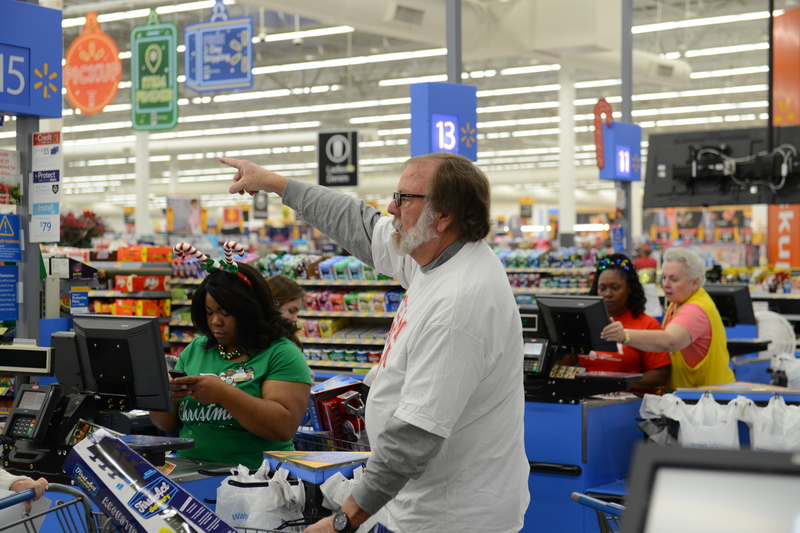 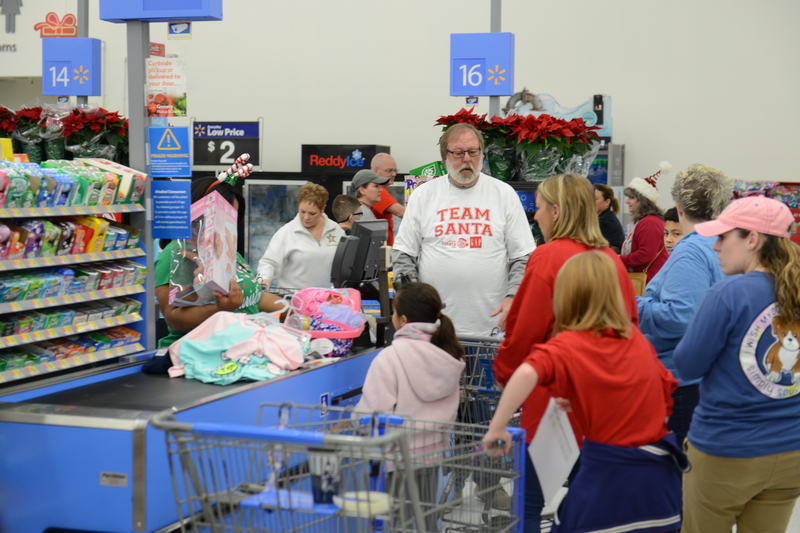 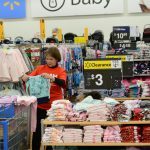 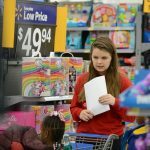 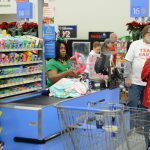 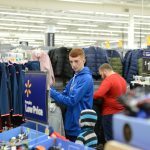 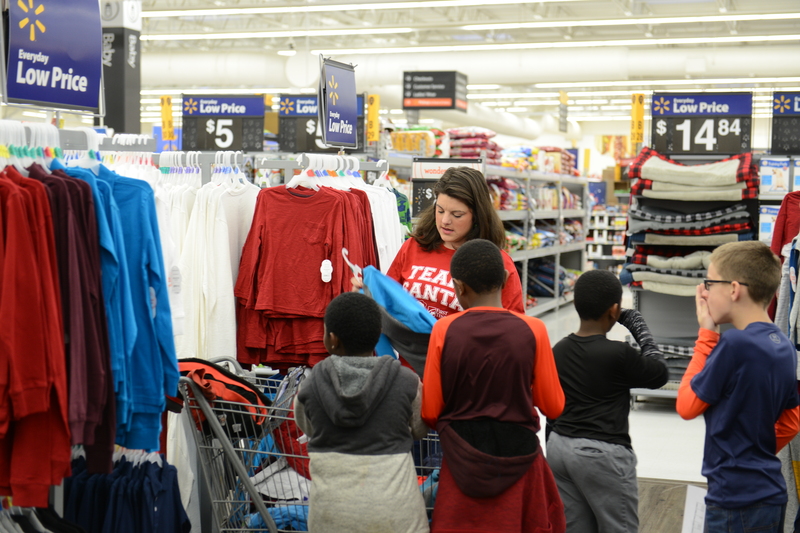 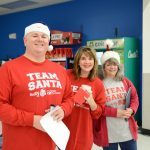 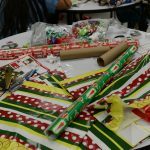 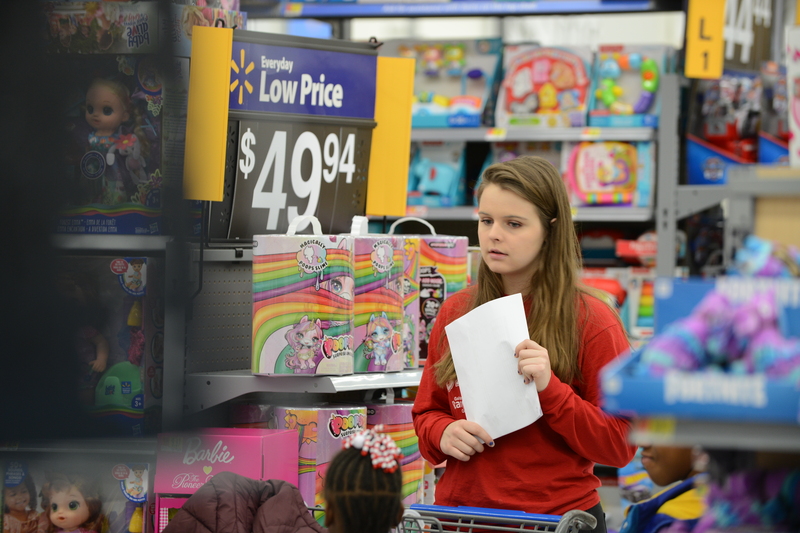 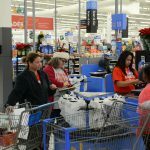 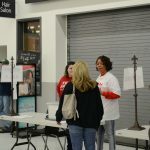 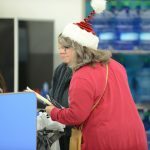 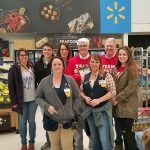 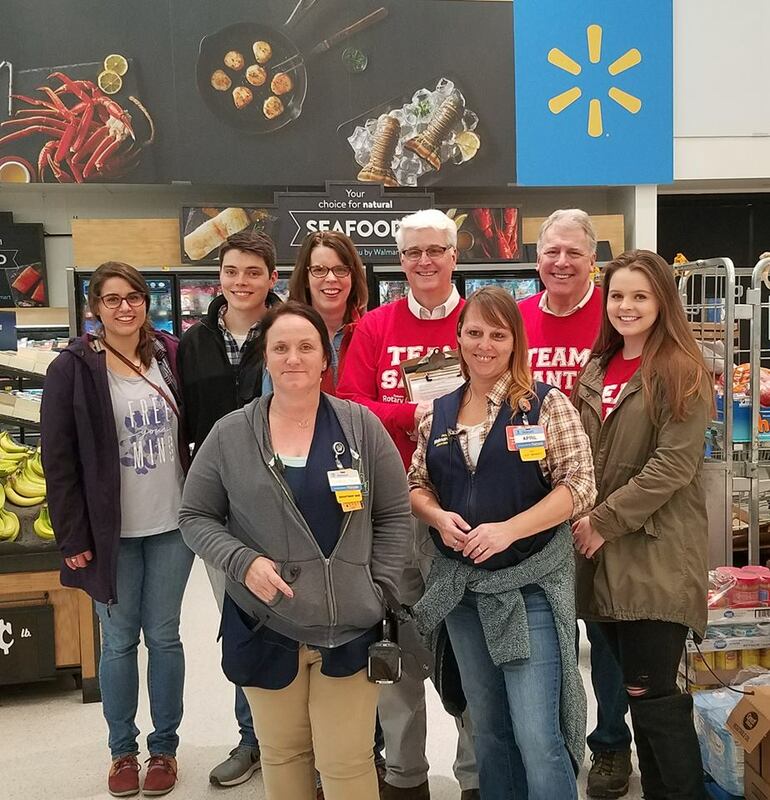 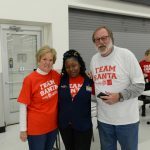 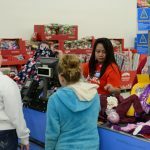 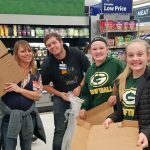 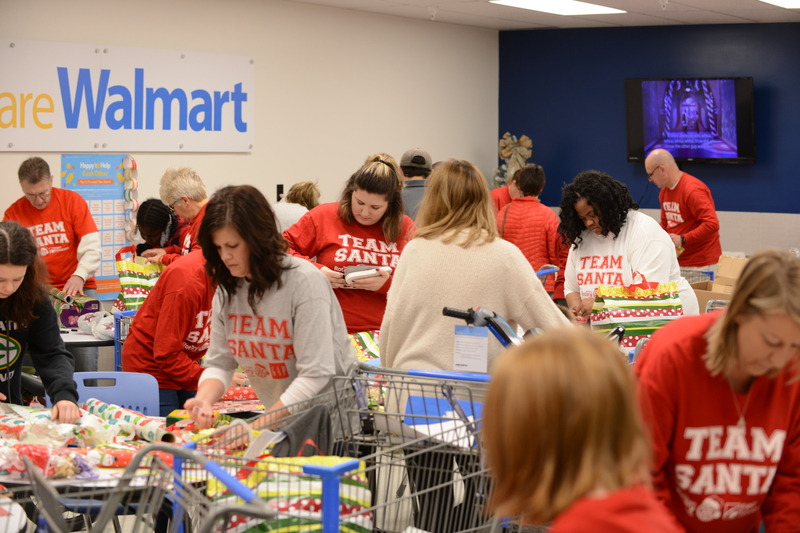 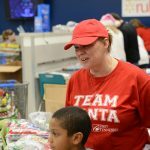 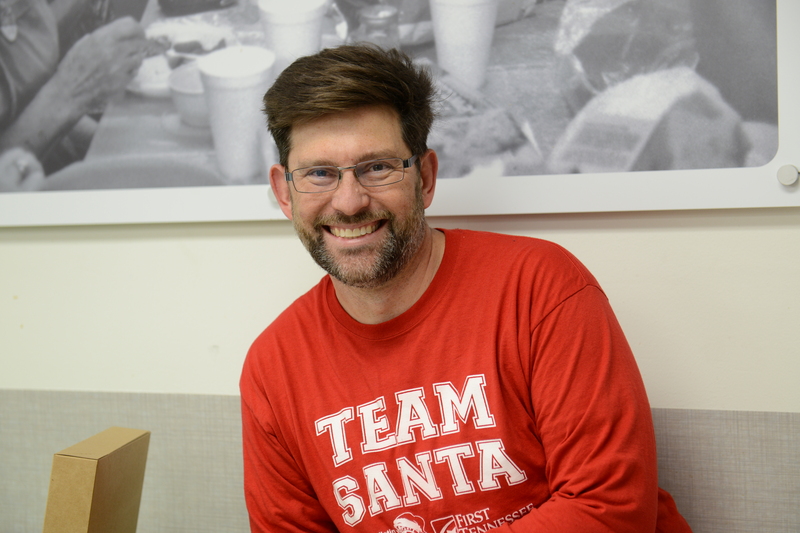 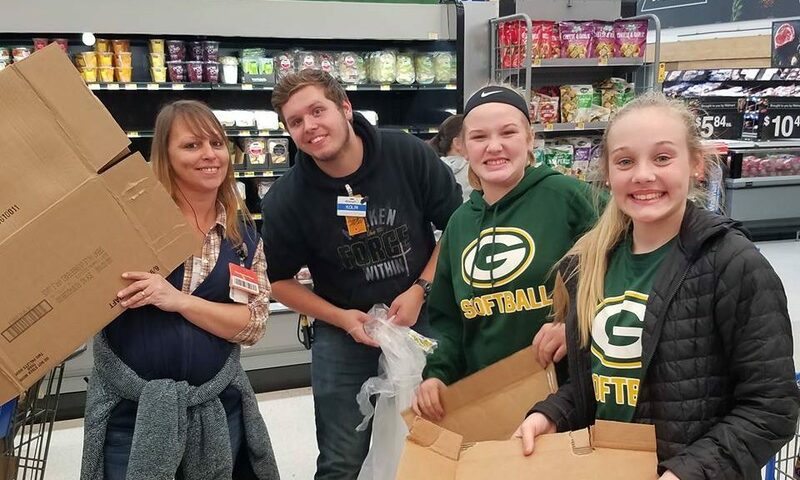 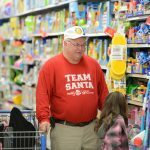 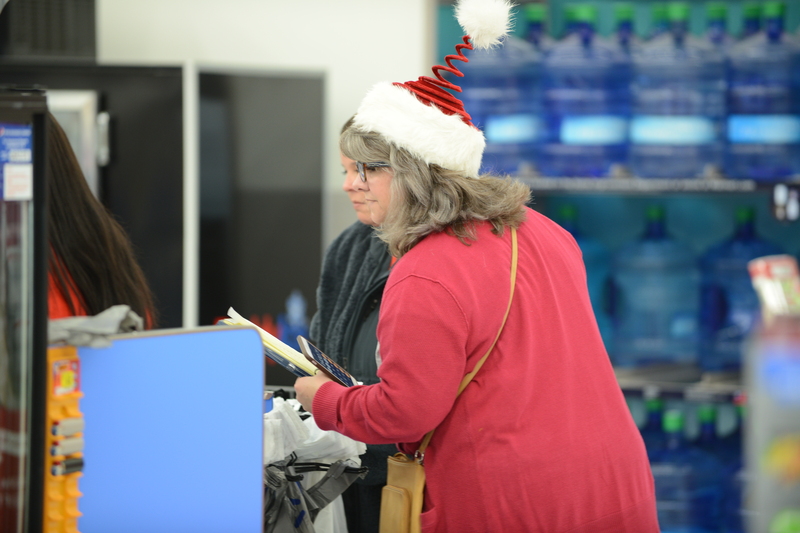 We thank Walmart, Burger King, our sponsors, and the volunteers from the community for making Christmas special for those who might have not other had one. 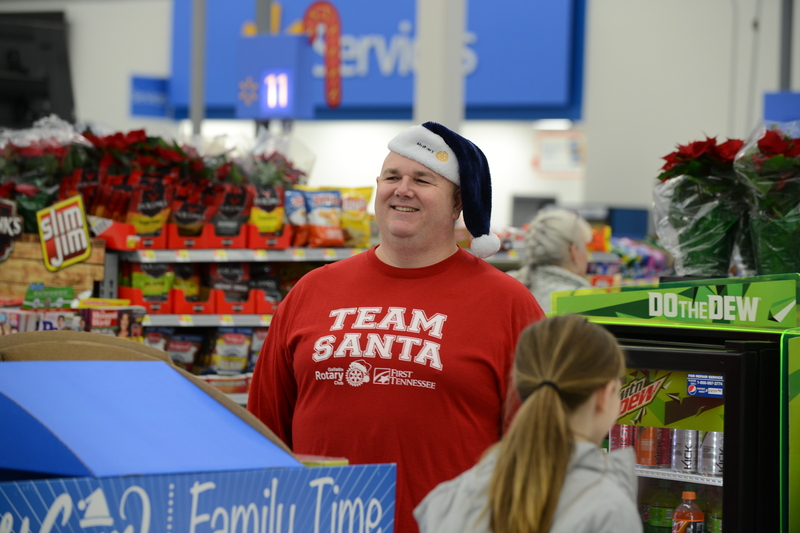 It is always a joyful day for those all involved! 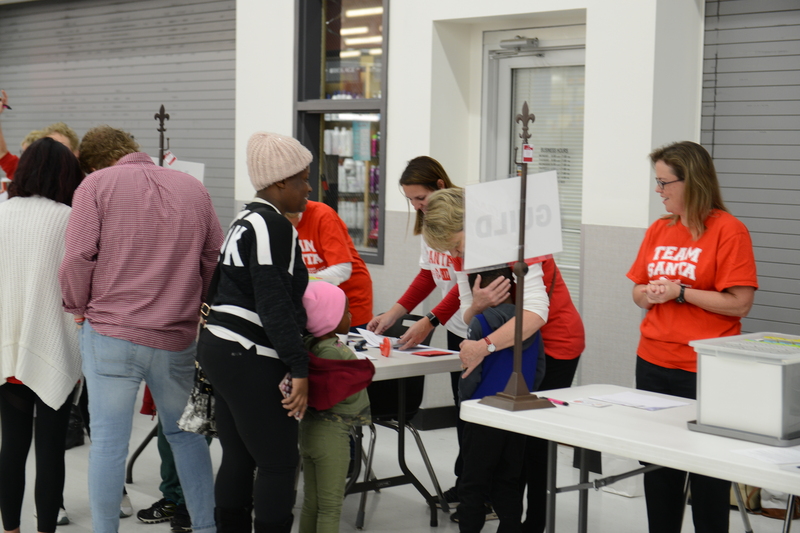 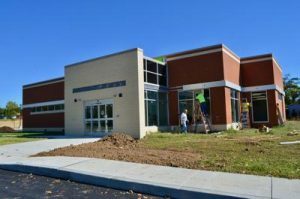 See pictures from our event below! 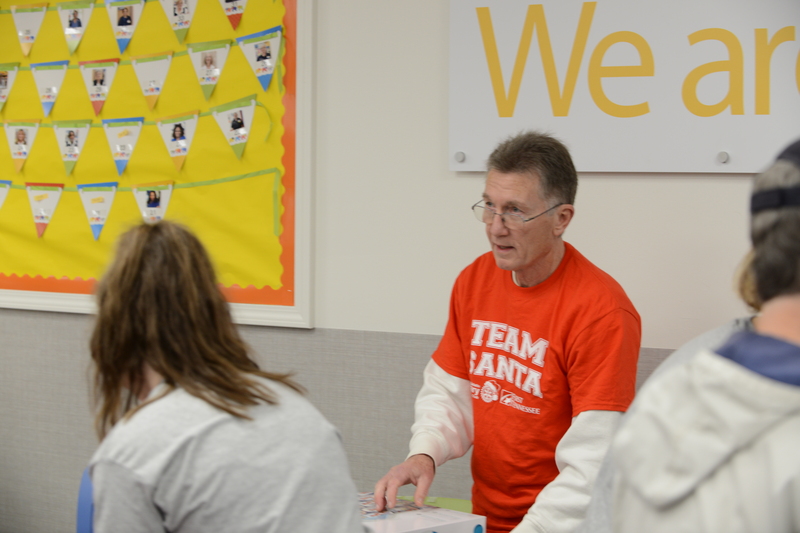 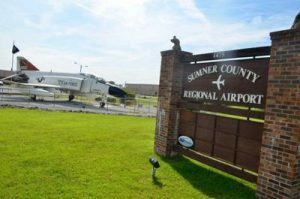 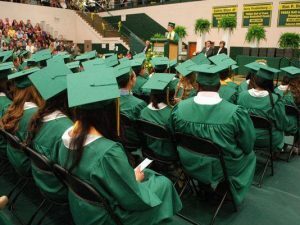 We work with school counselors to determine the students and their families who could use our help. 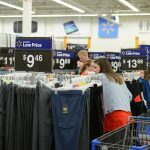 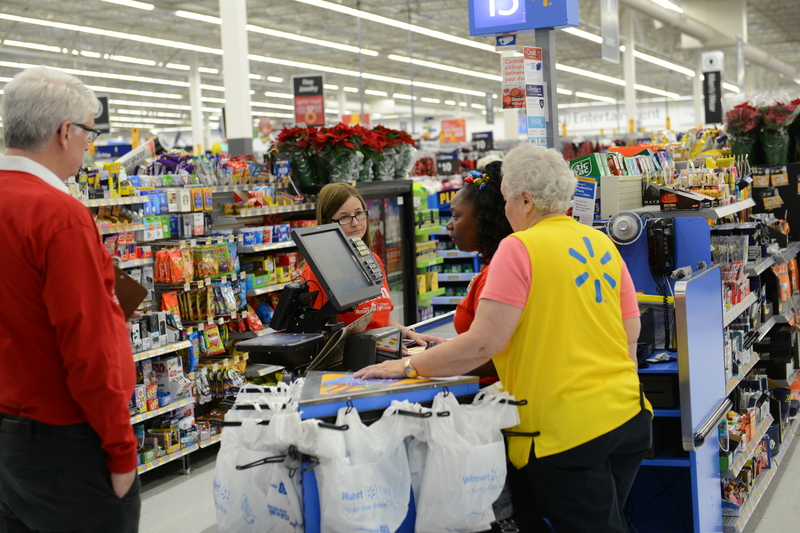 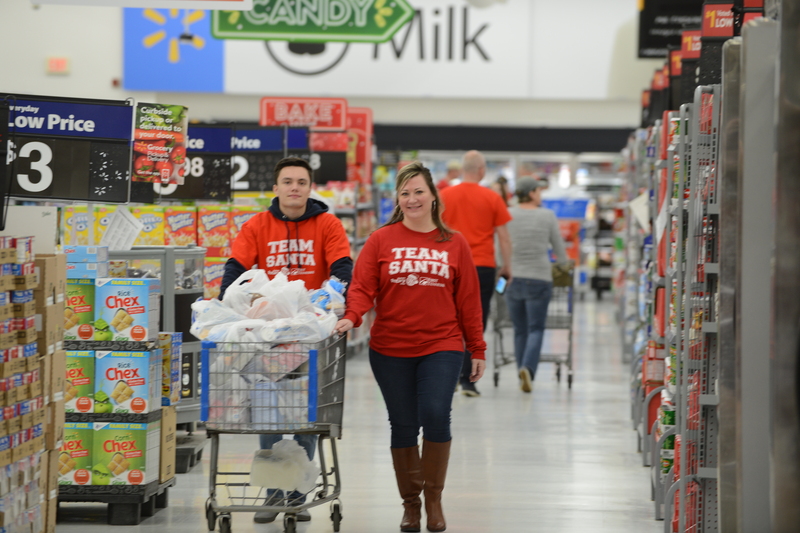 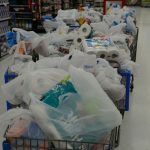 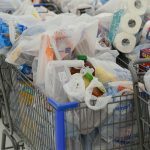 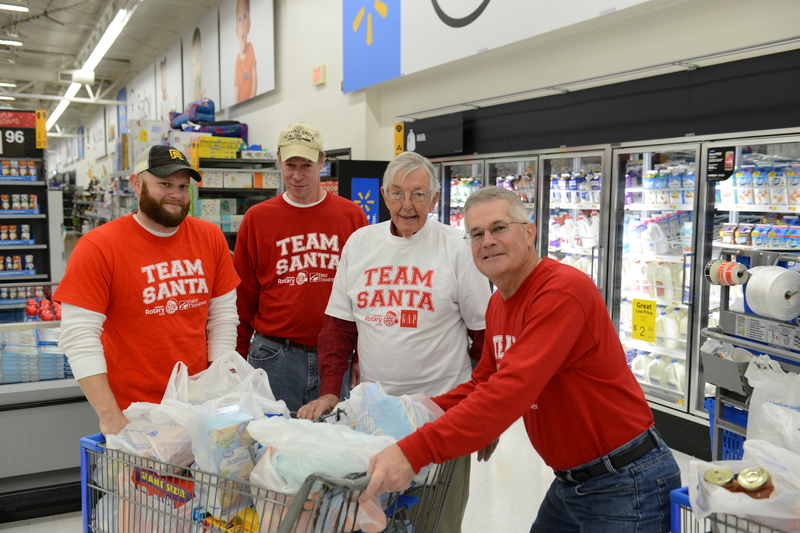 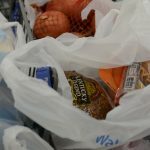 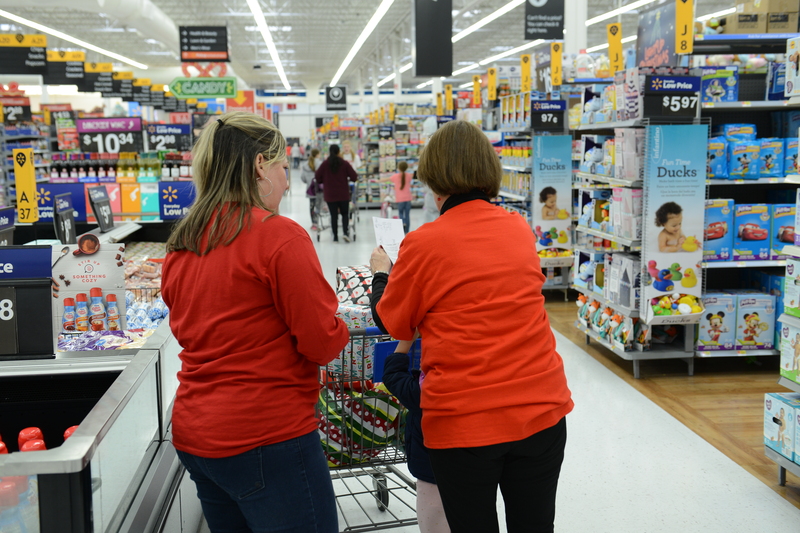 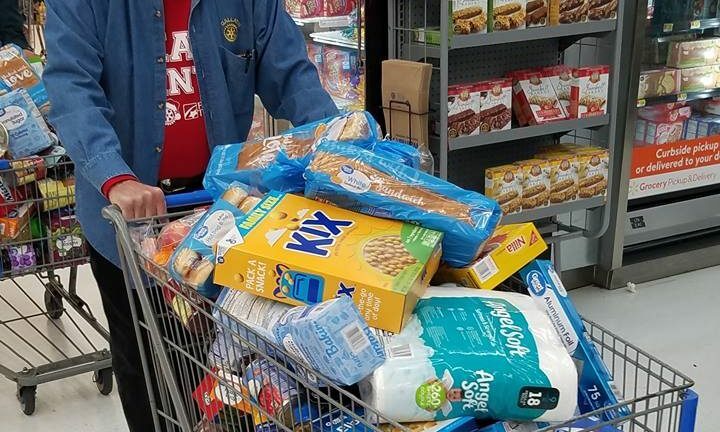 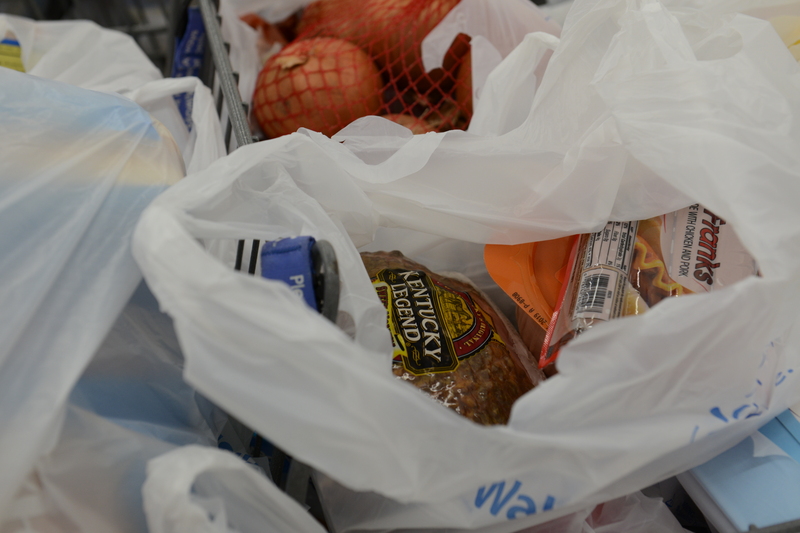 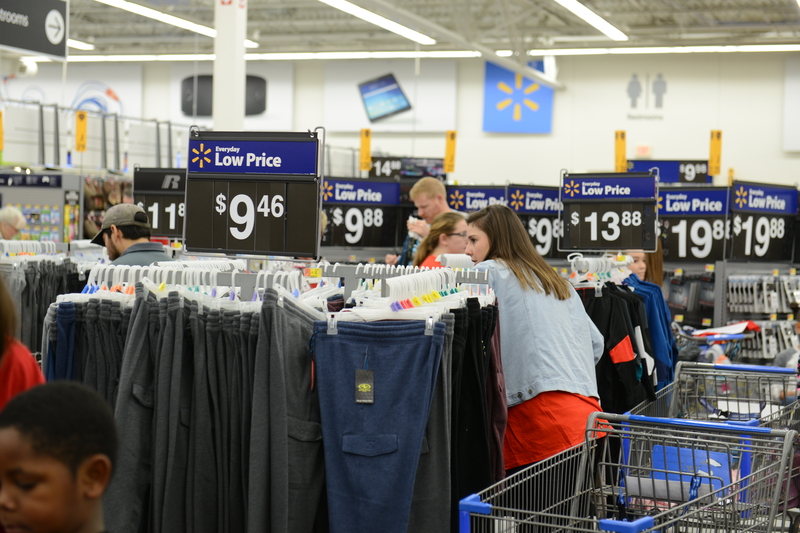 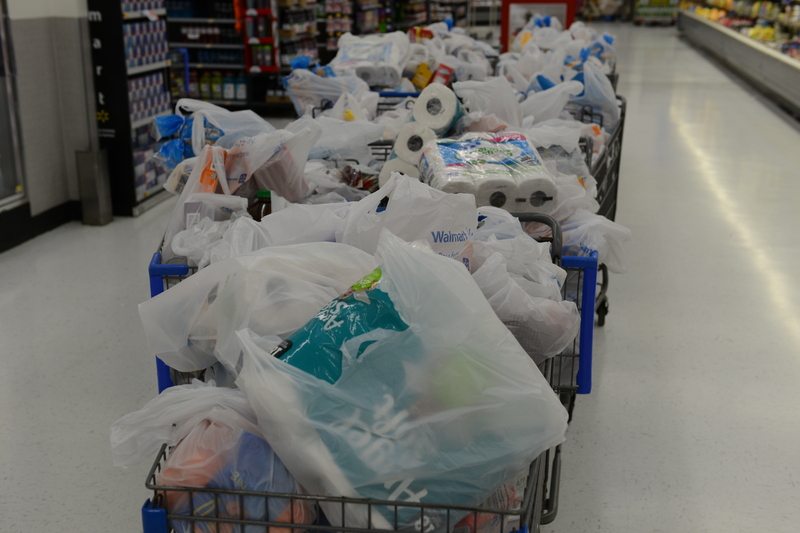 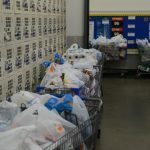 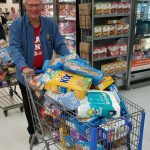 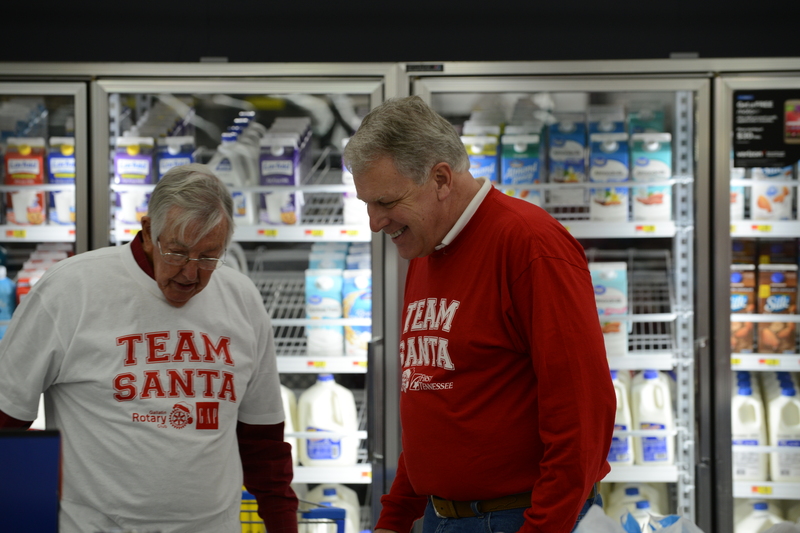 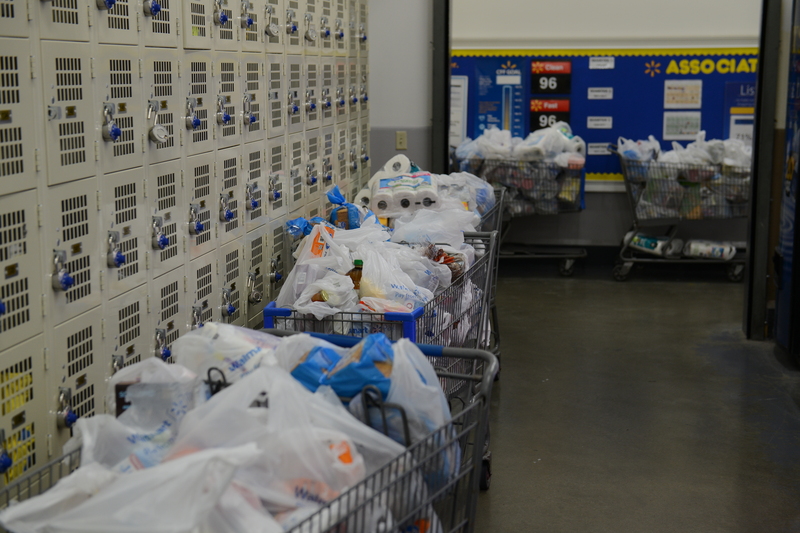 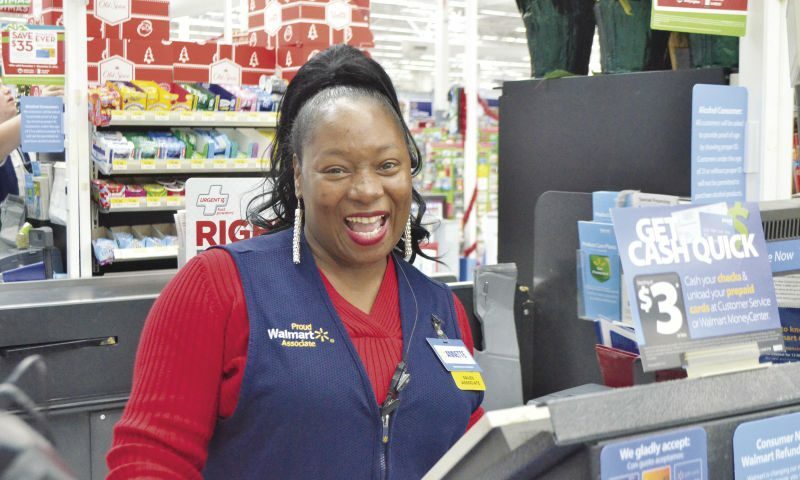 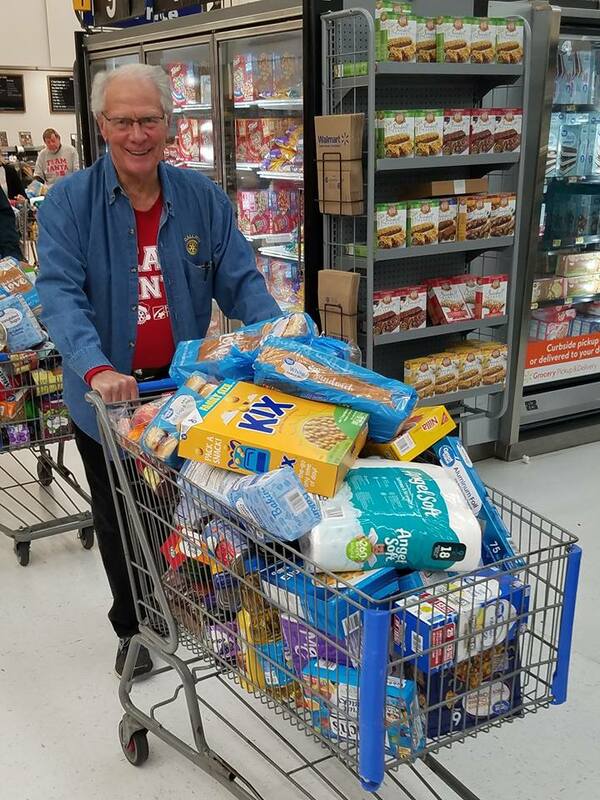 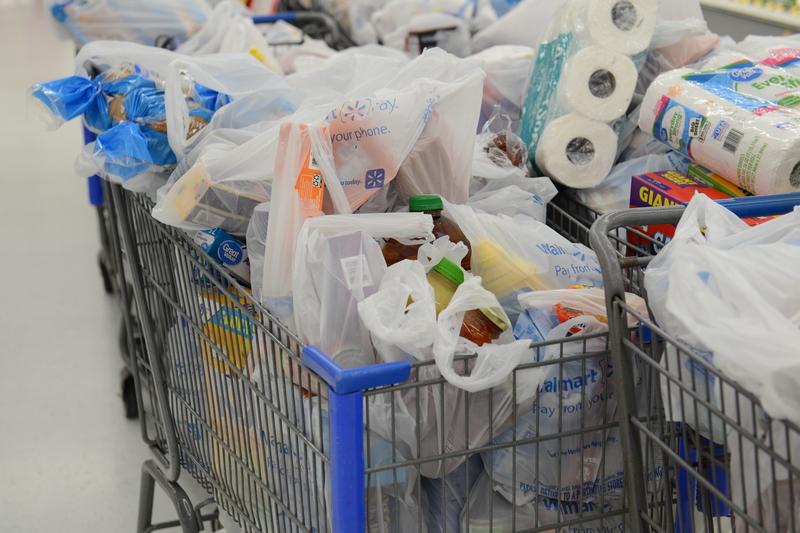 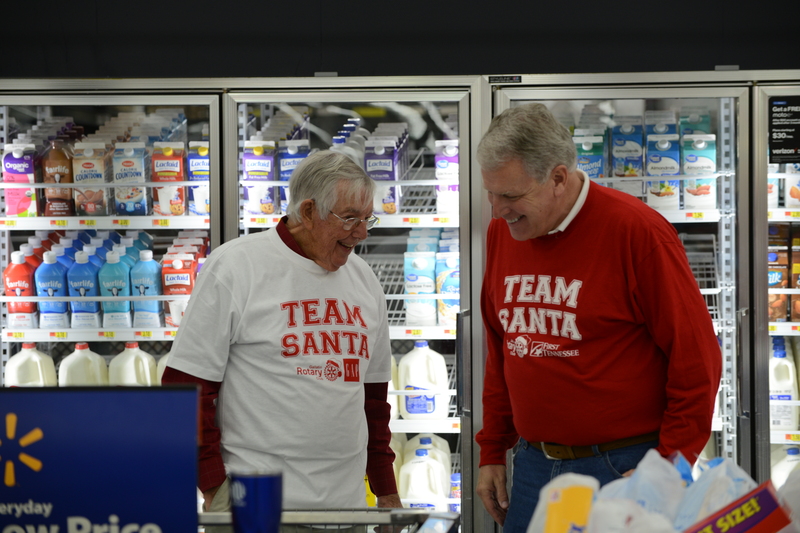 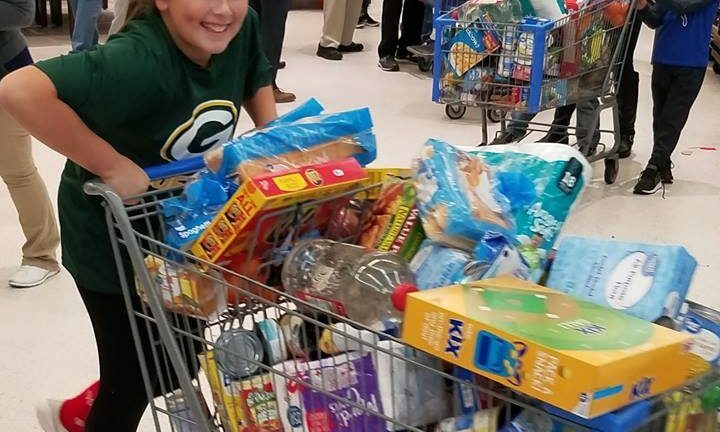 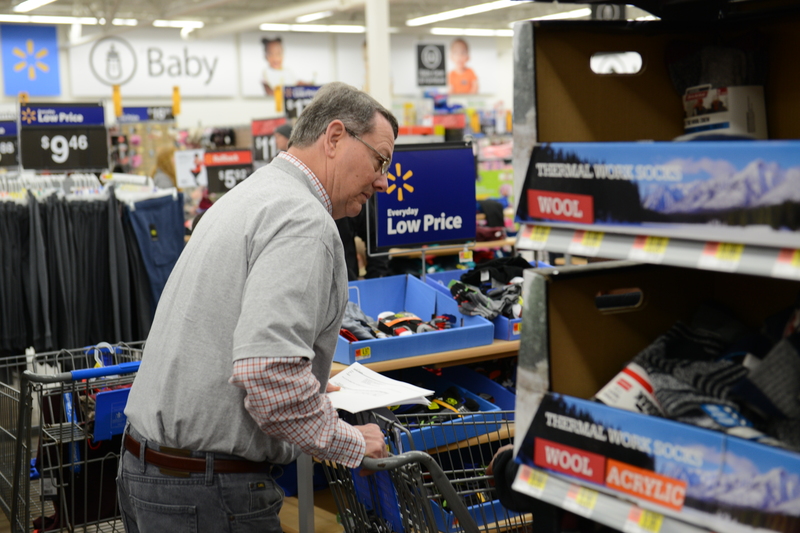 We work with Walmart to provide each family with a grocery cart overflowing with food. 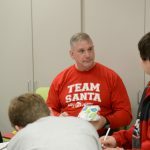 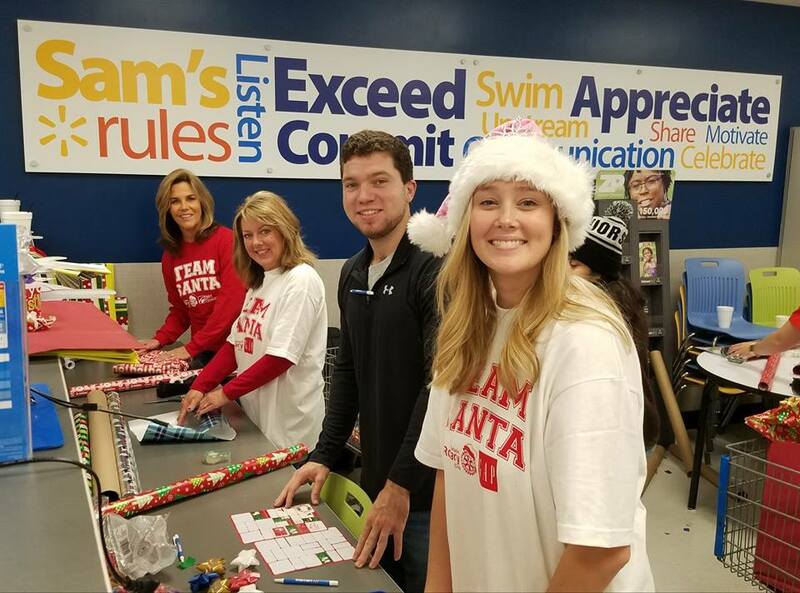 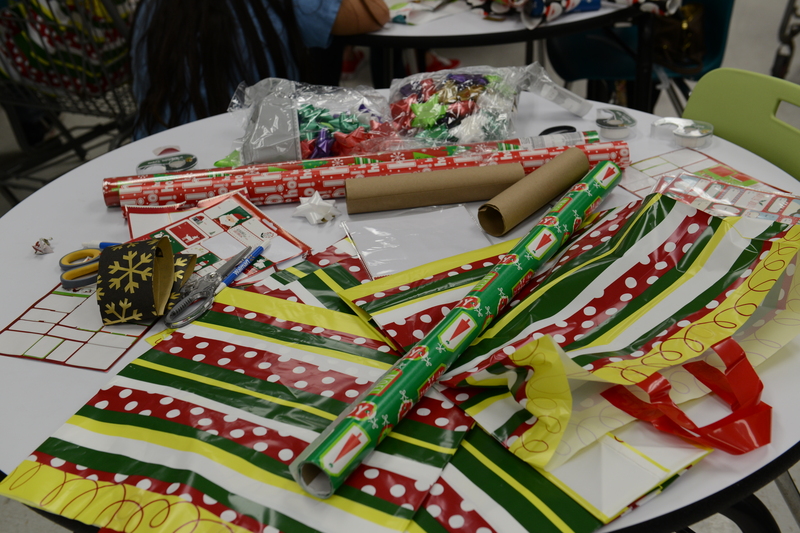 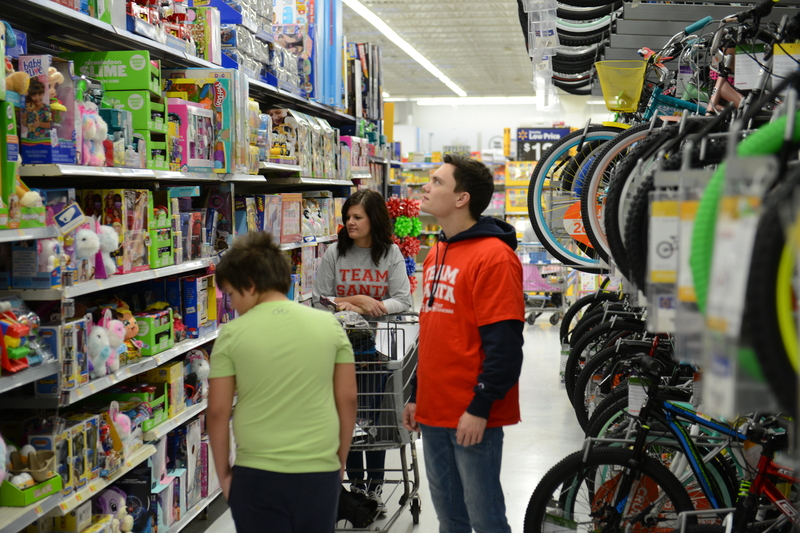 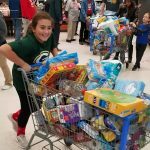 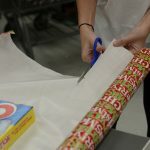 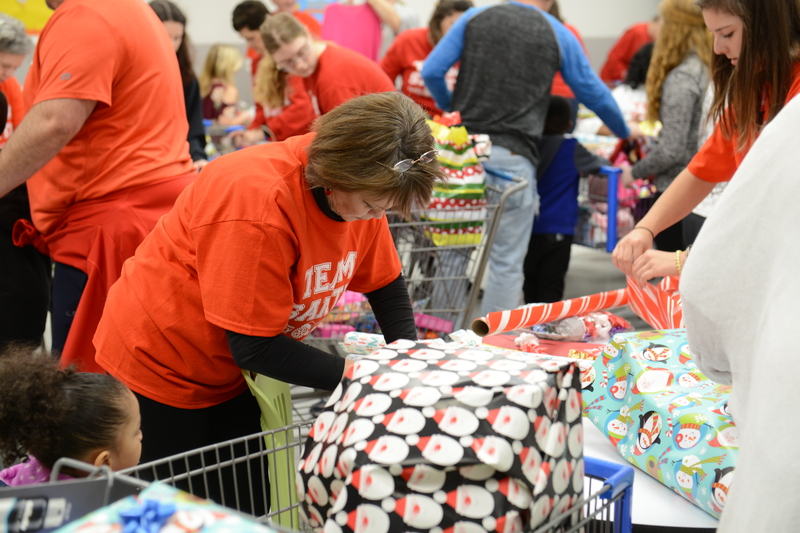 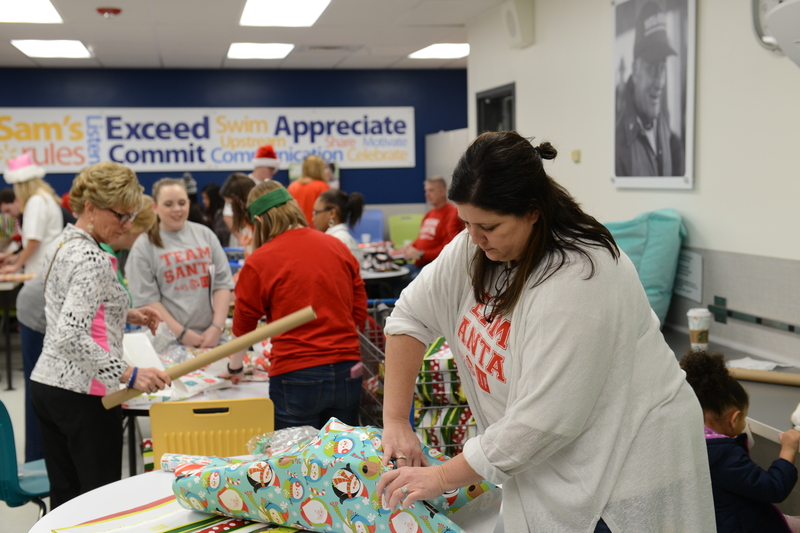 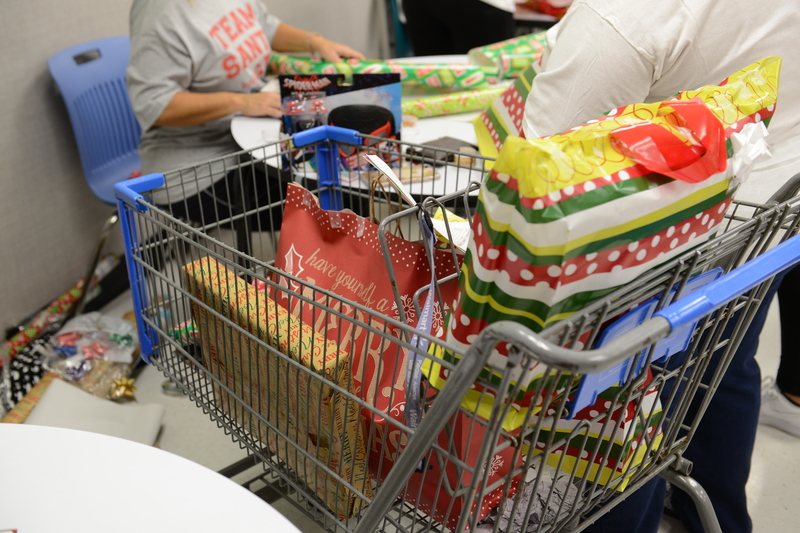 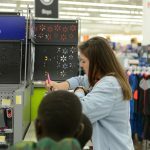 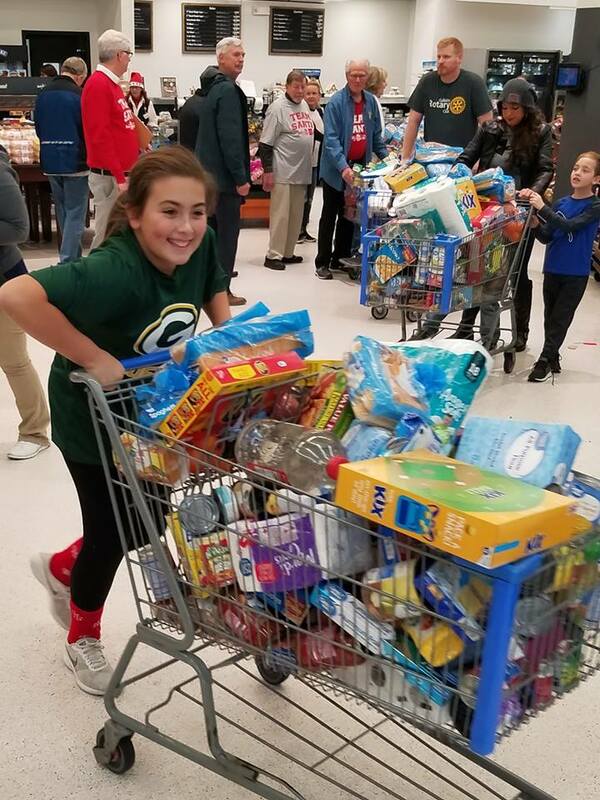 We are fortunate to have the support of several high school clubs and sports teams, community groups, and just loving community individuals who help with the shopping and wrapping of presents for each of these deserving children. 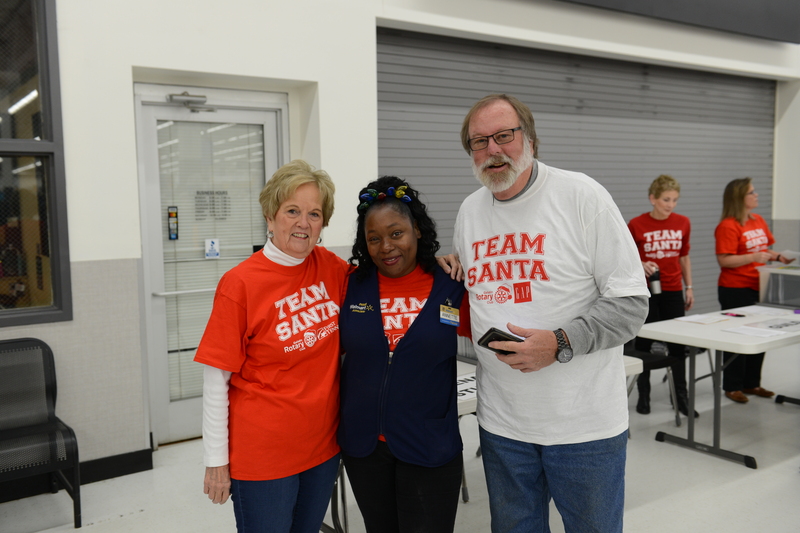 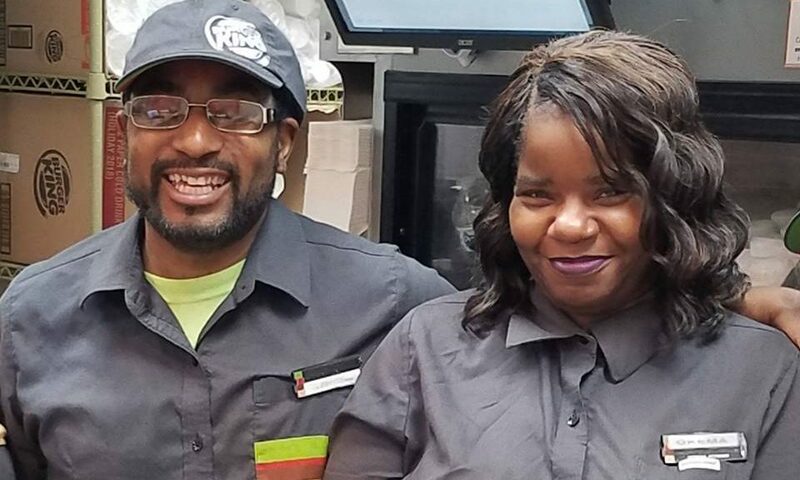 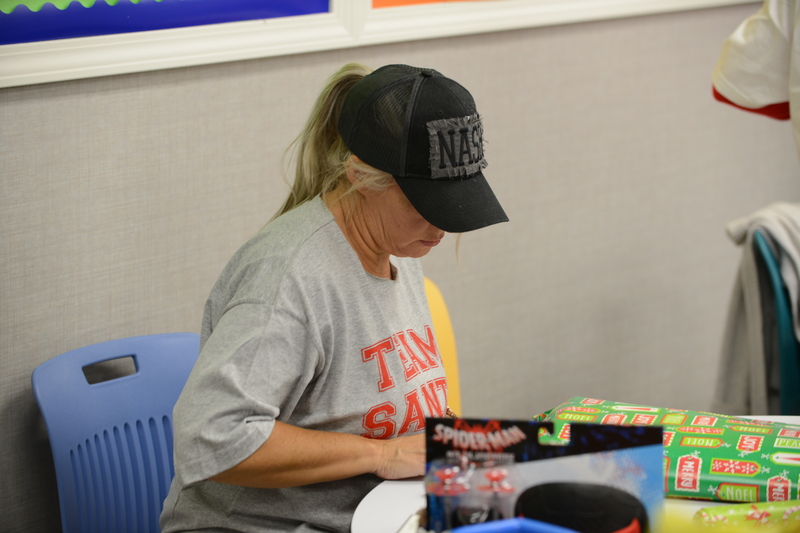 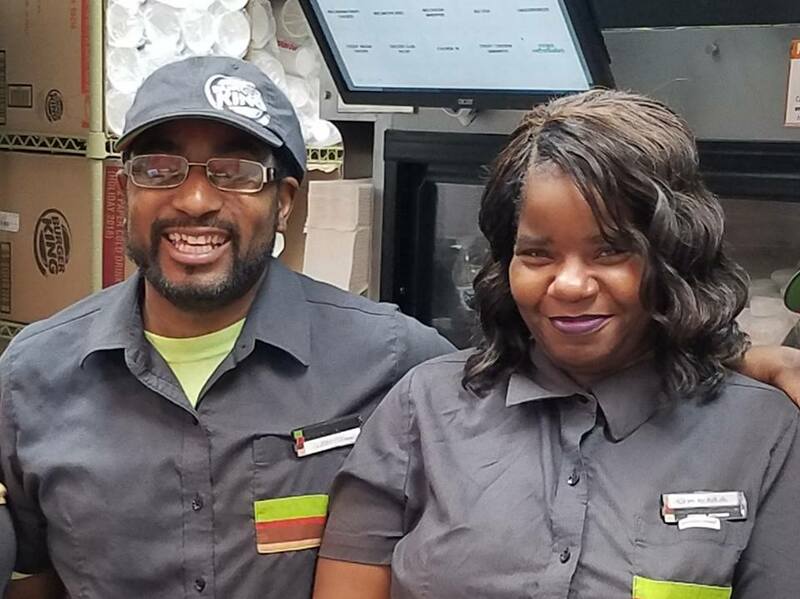 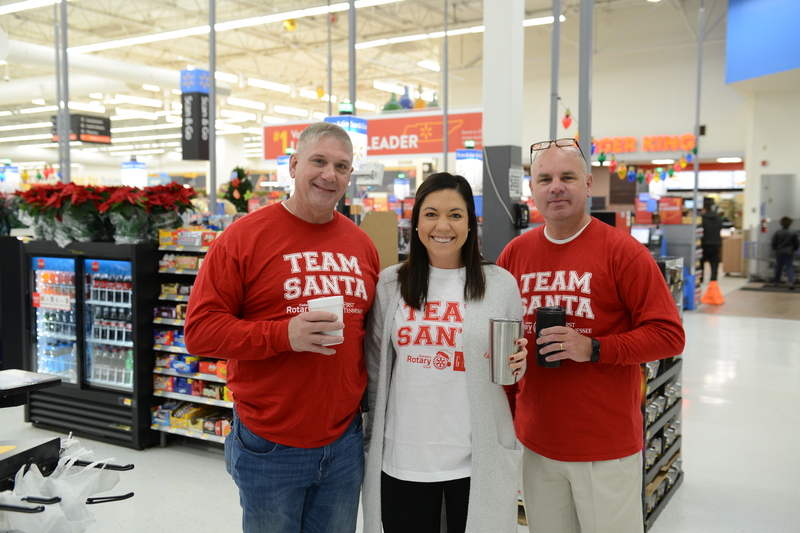 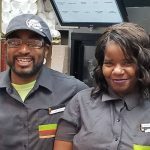 And this past year, we were also fortunate to partner with the Burger King in Walmart to provide breakfast for the adults who brought the children to enjoy the big day. 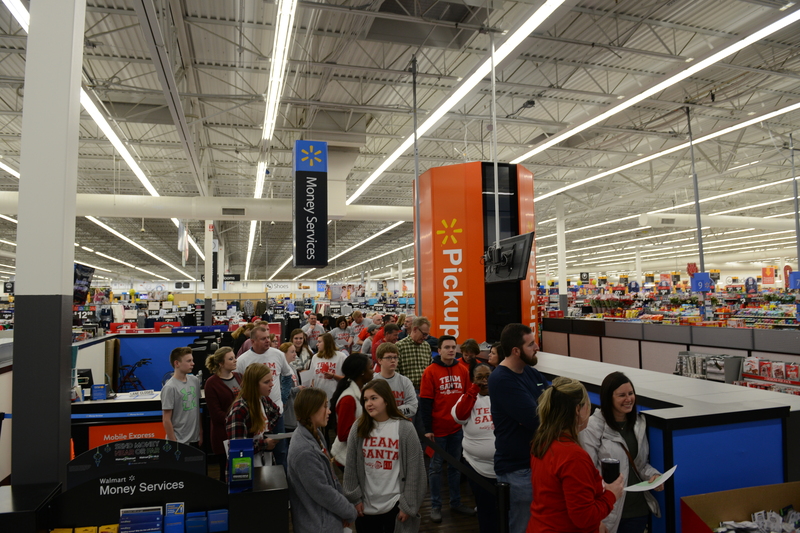 The planning takes months, and then it all happens; the night before, we gather to assemble the food for the grocery carts; then at 3:00 in the morning, Walmart employees – our “elves” – bag them, and then just three hours later, controlled chaos ensues for the most wonderful event of the year as we do our best to make area children and their families happy in the most important time of the year. 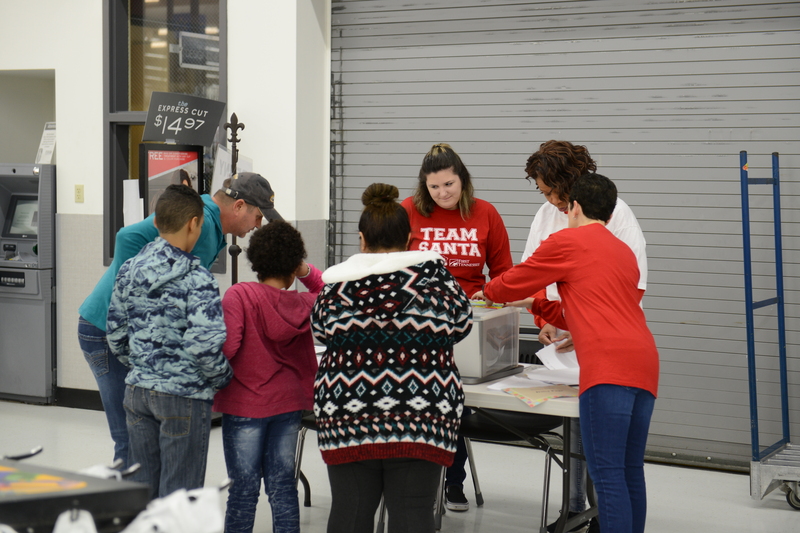 While it started off small, we are now able to provide a great Christmas for approximately 130 children from about 60 families each and every year. 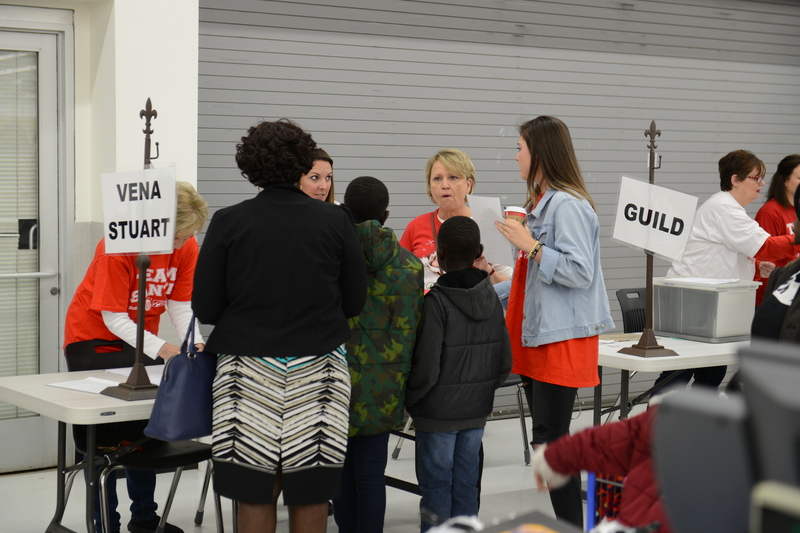 It is a really special morning, and we would like to invite you to be a part of one of the biggest events of the Christmas season in Gallatin. 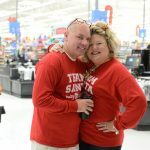 This is a small part of what we do: please visit the “About Us” page to learn more or get in touch with us through the “Contact Us” page to learn more.